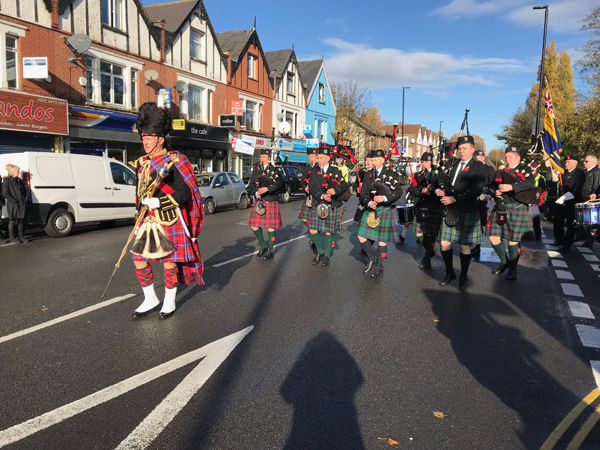 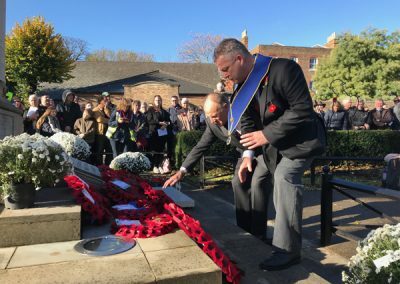 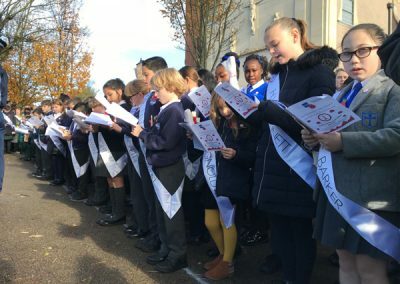 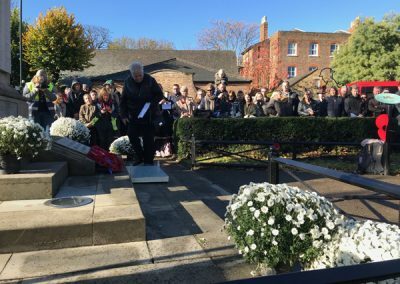 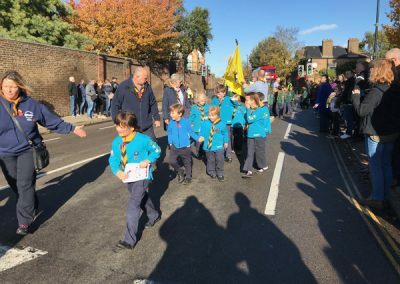 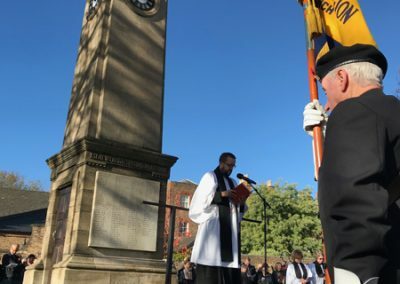 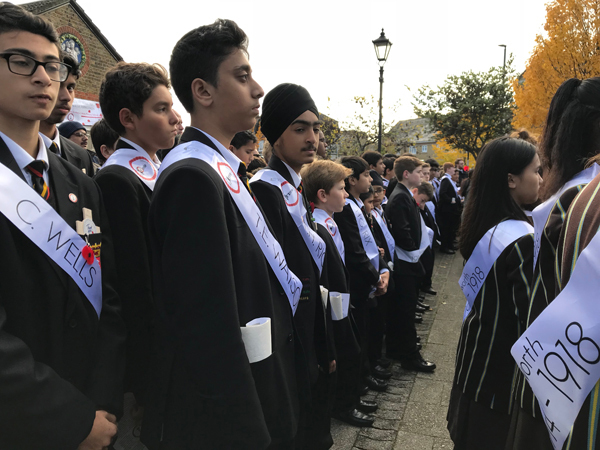 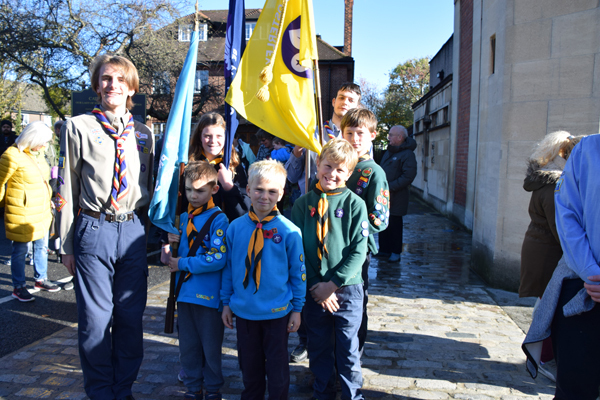 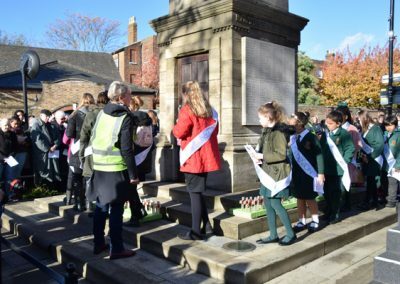 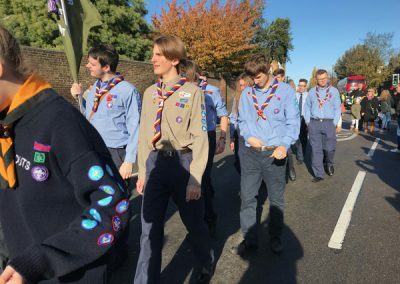 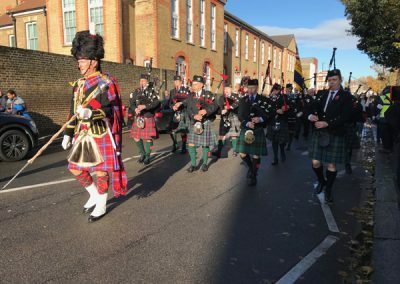 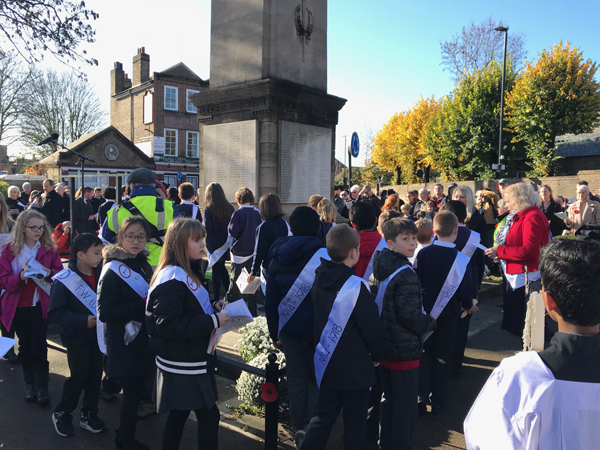 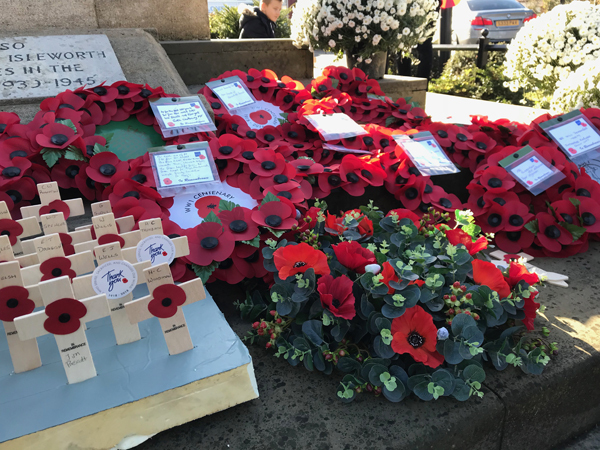 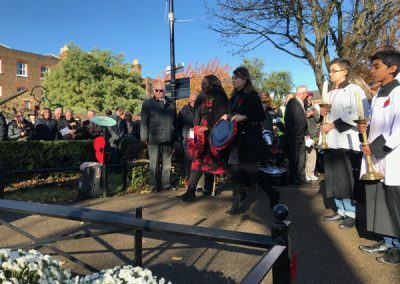 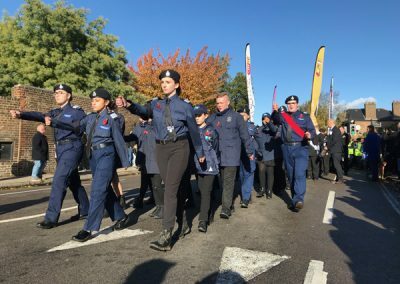 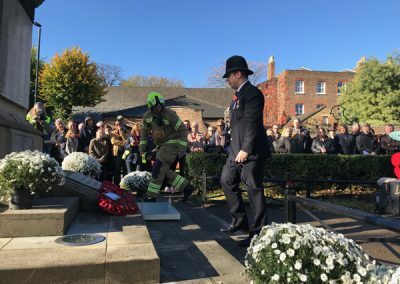 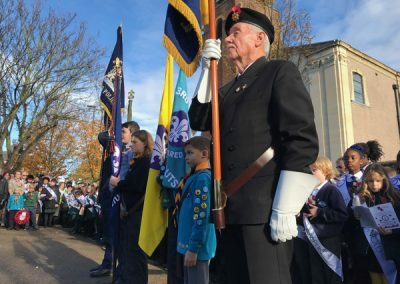 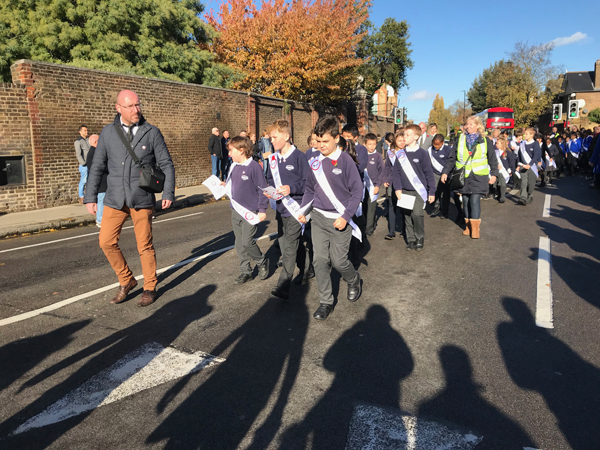 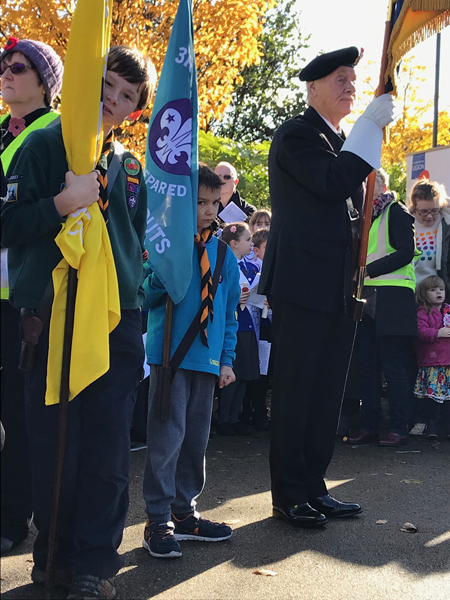 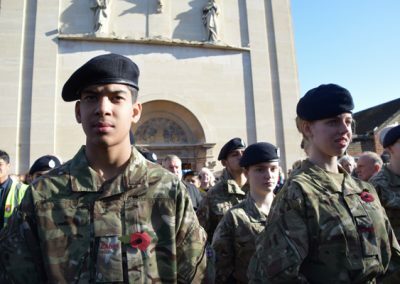 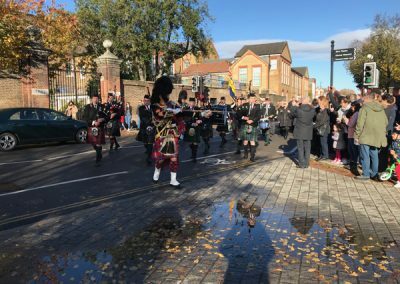 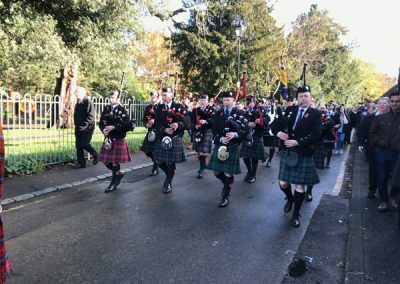 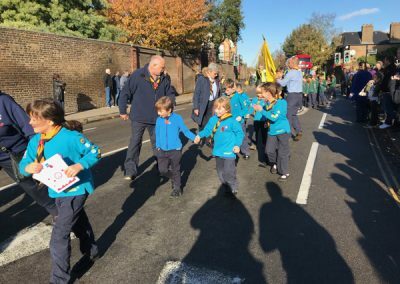 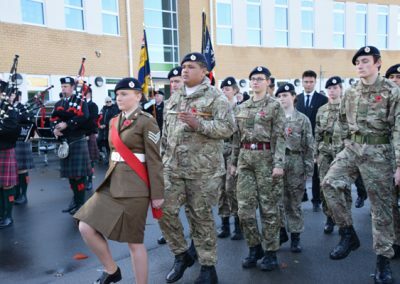 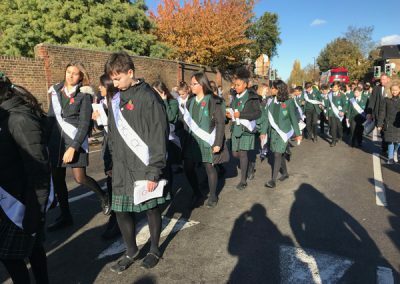 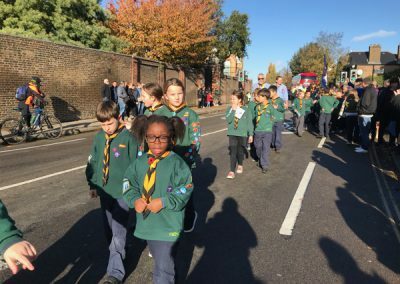 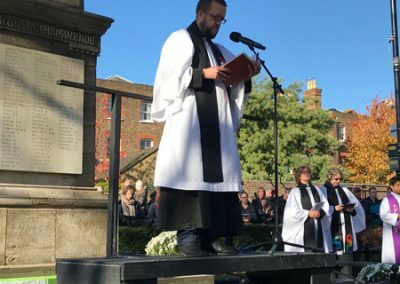 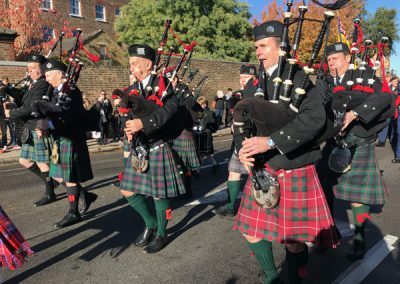 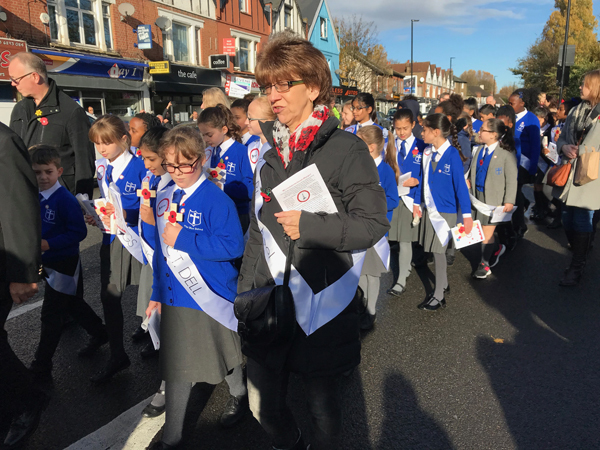 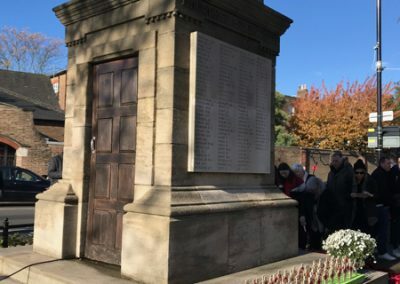 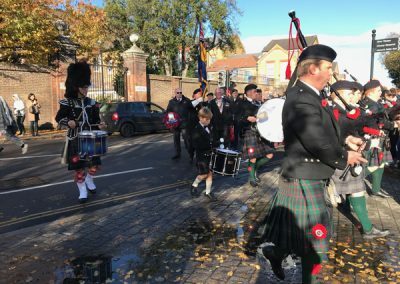 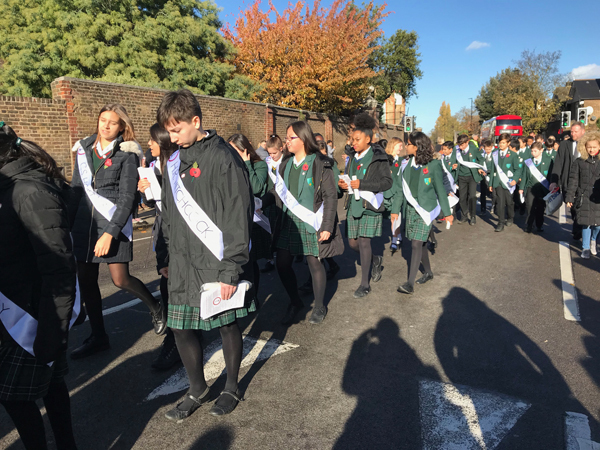 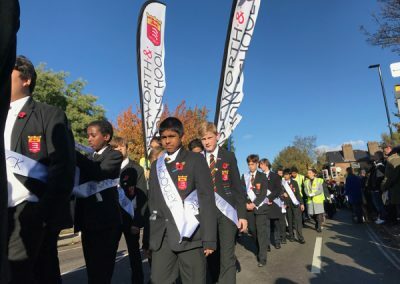 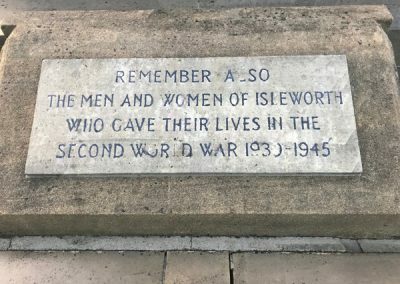 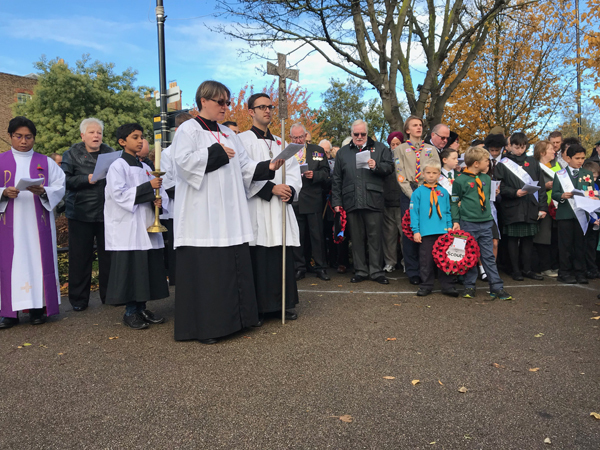 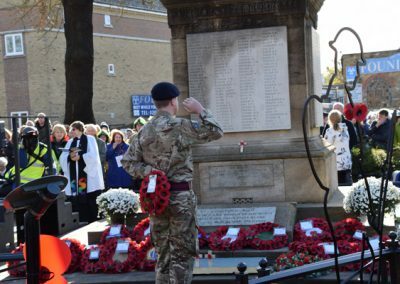 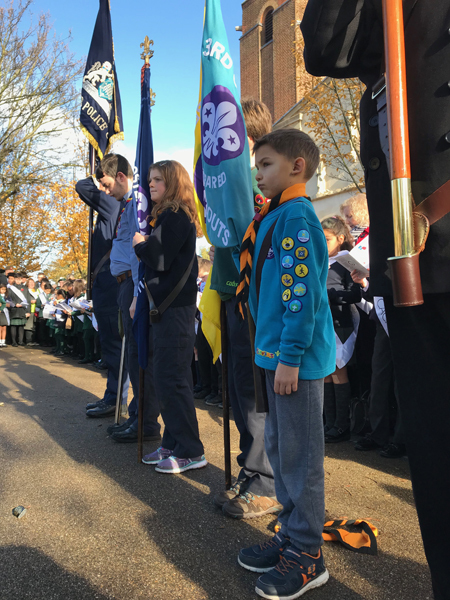 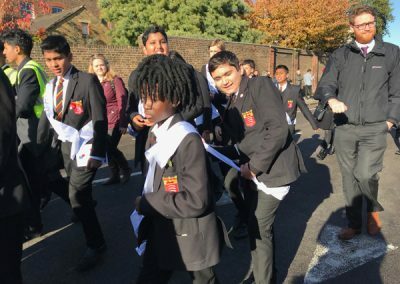 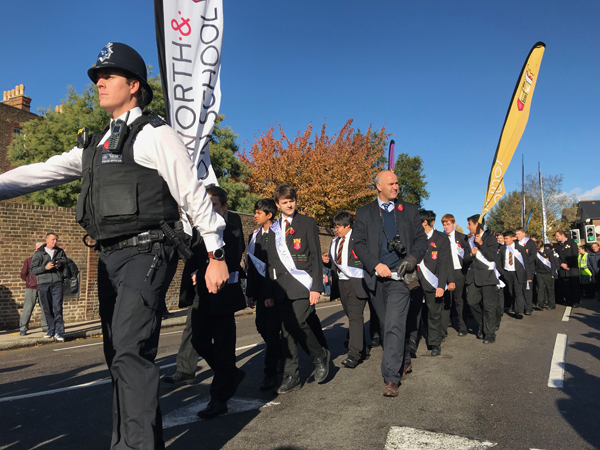 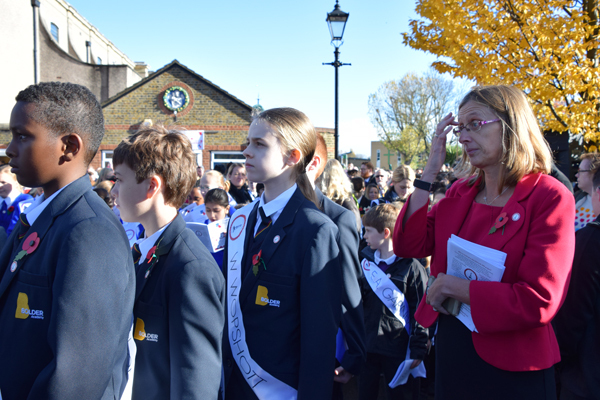 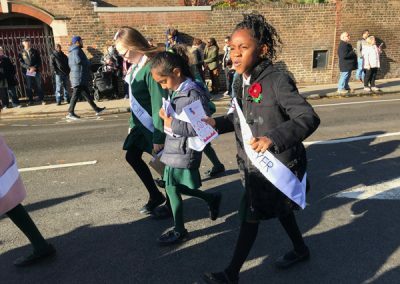 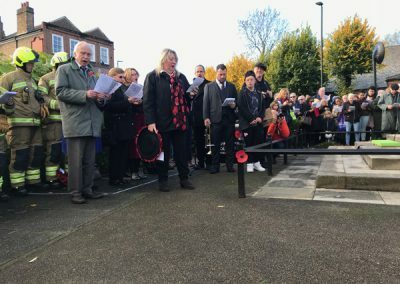 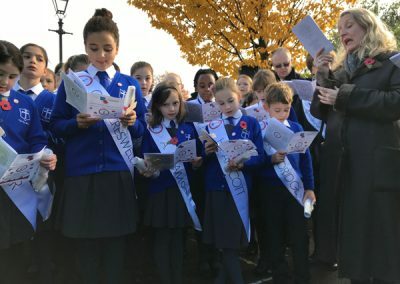 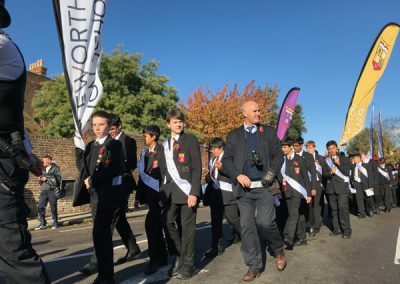 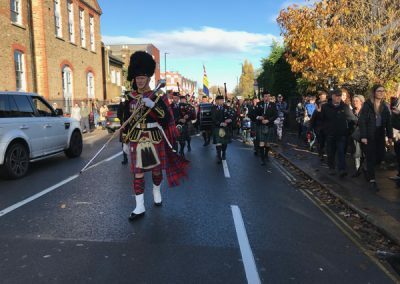 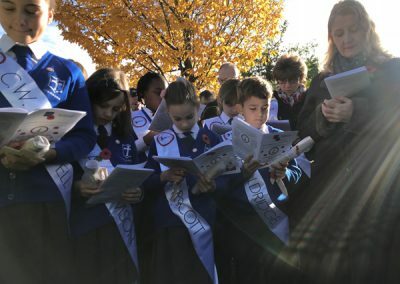 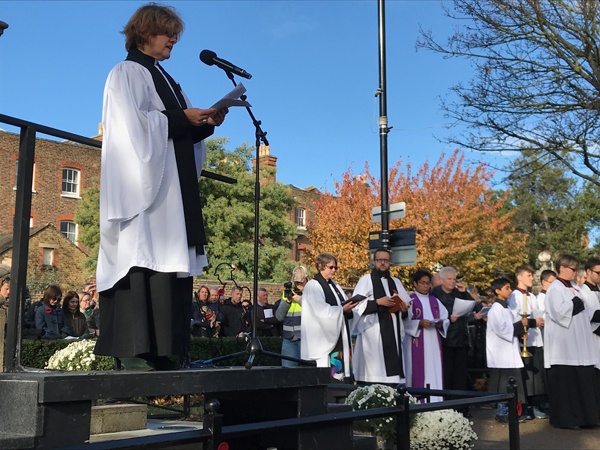 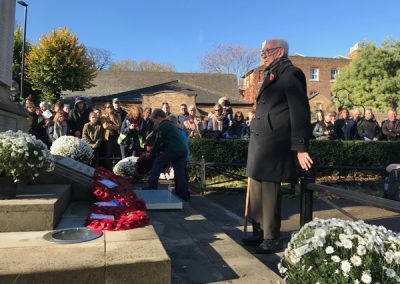 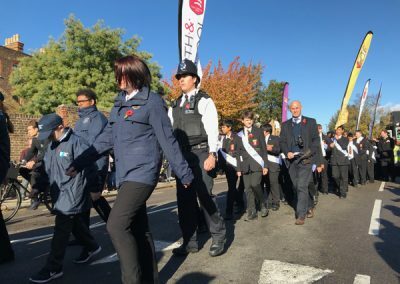 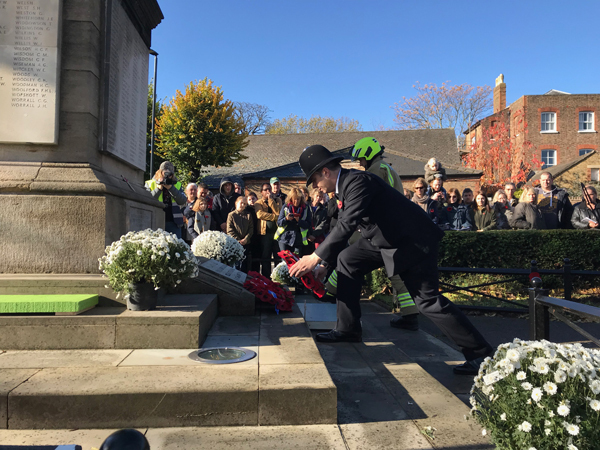 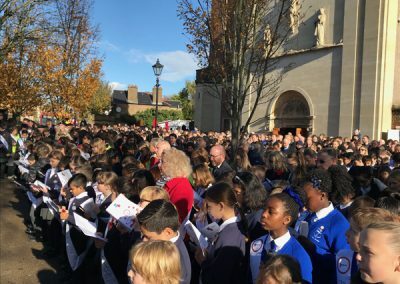 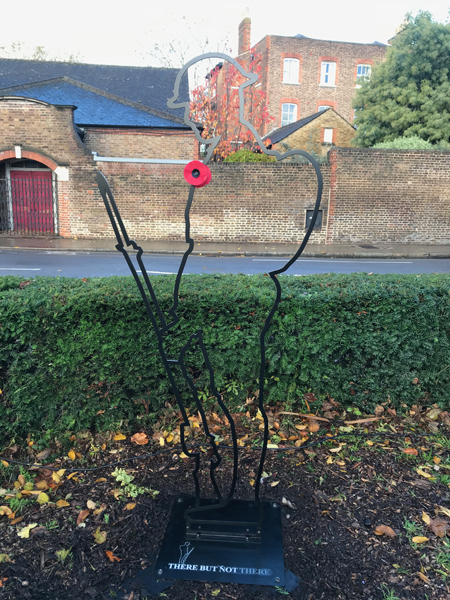 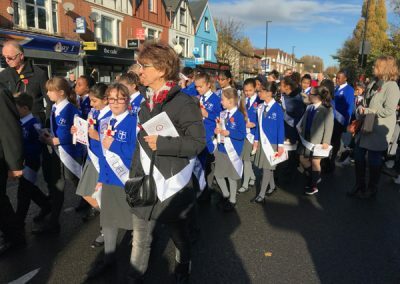 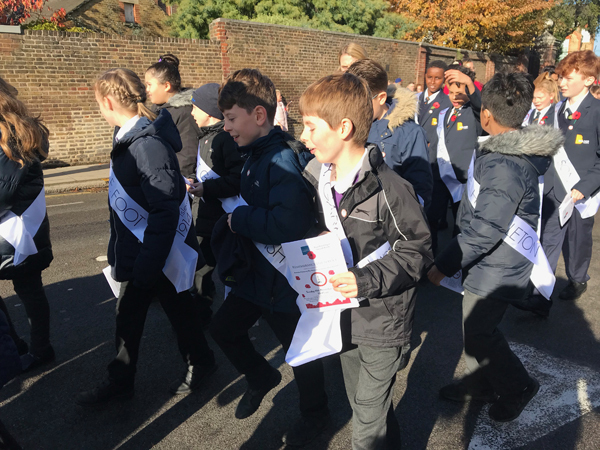 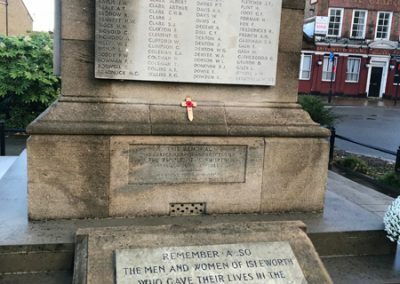 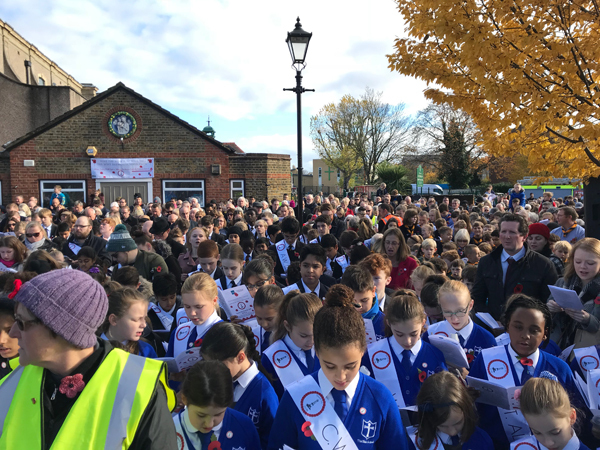 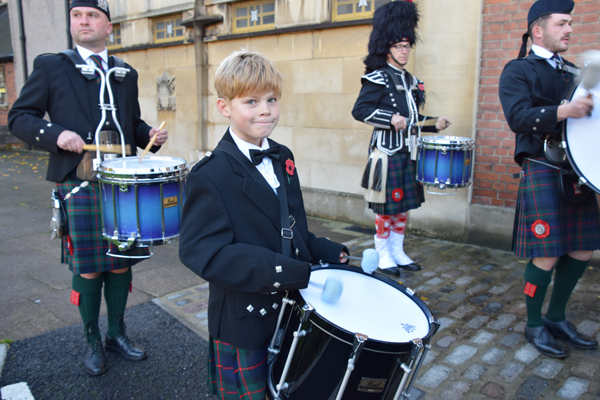 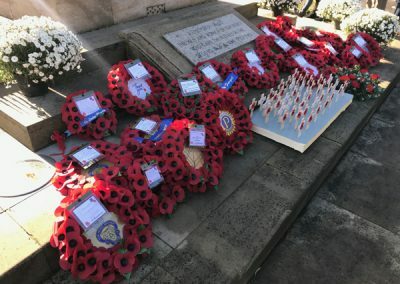 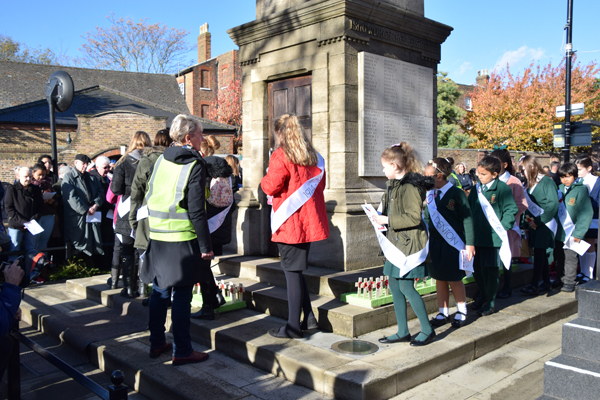 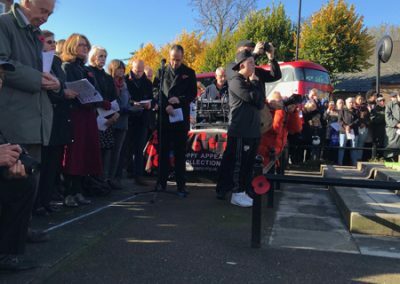 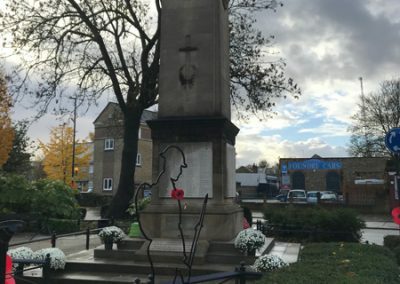 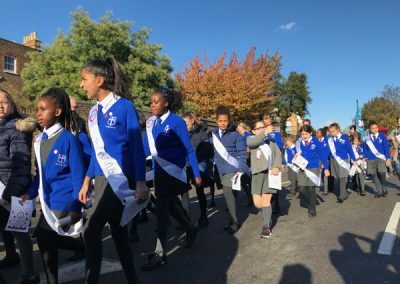 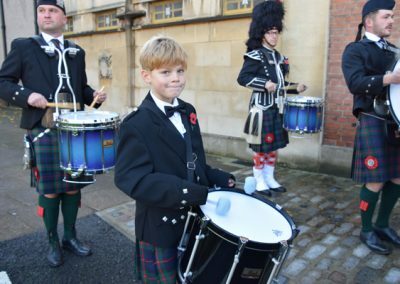 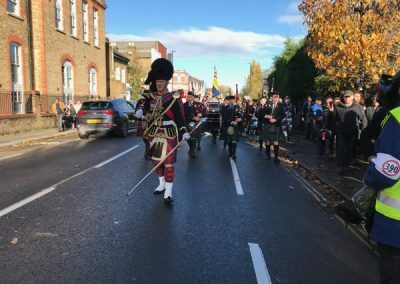 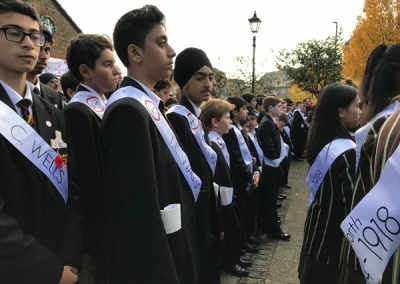 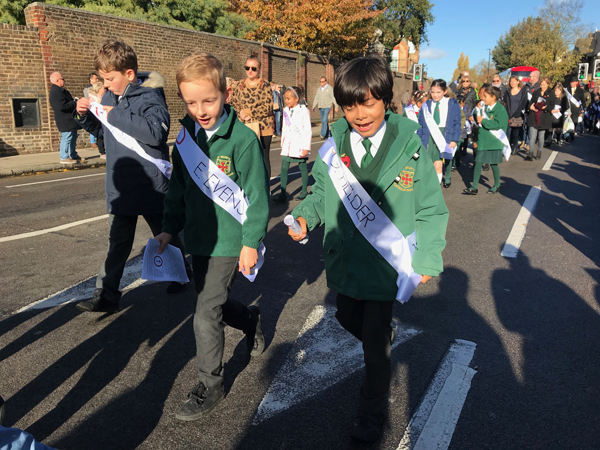 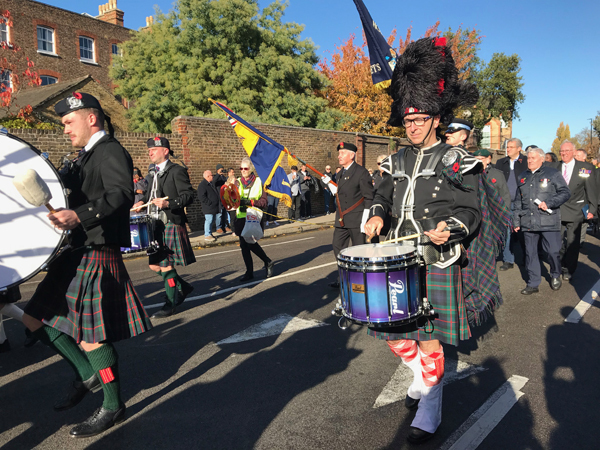 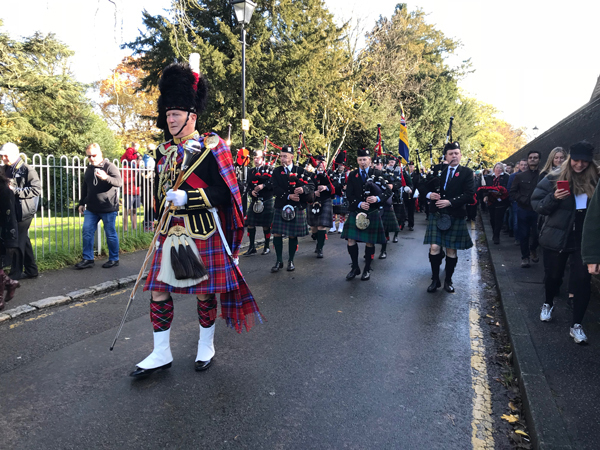 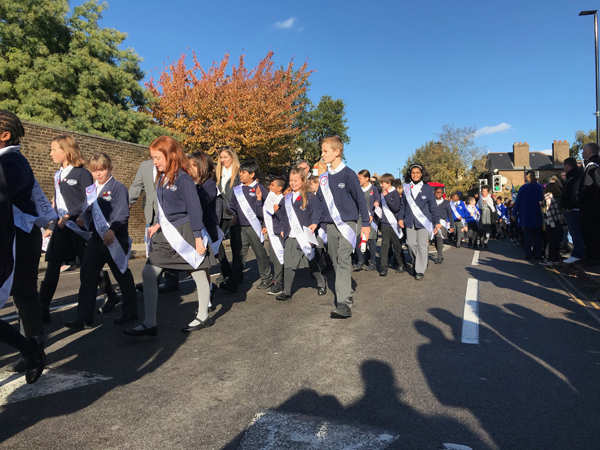 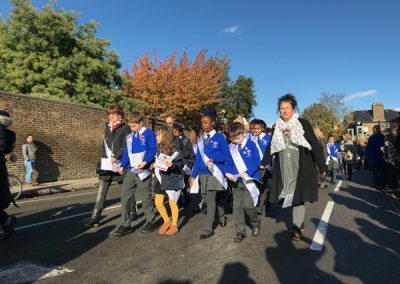 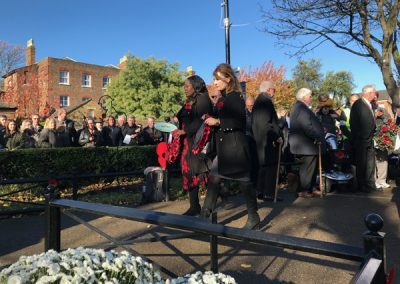 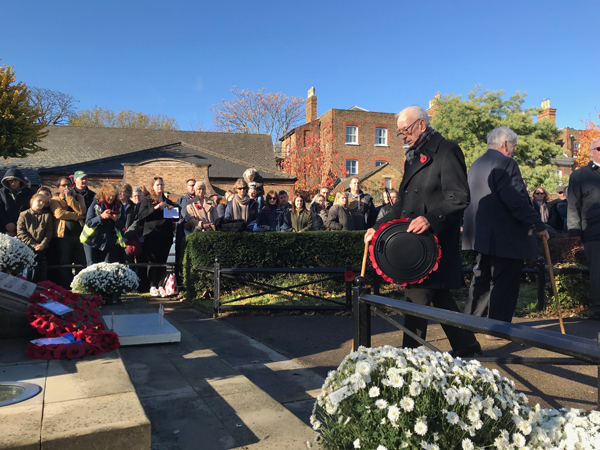 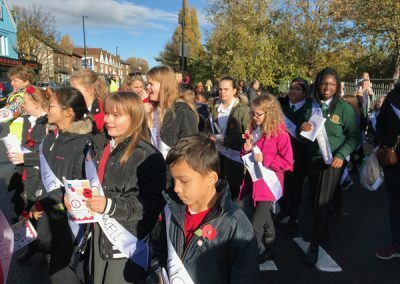 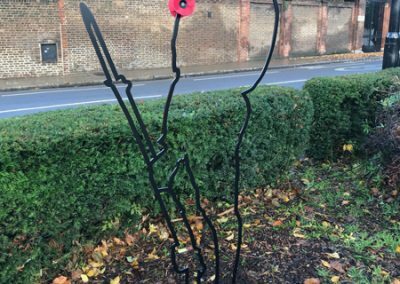 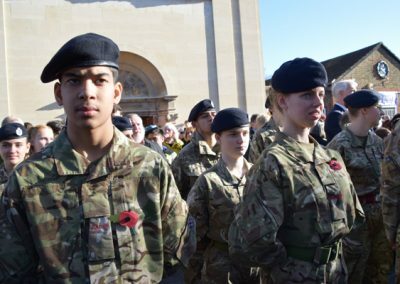 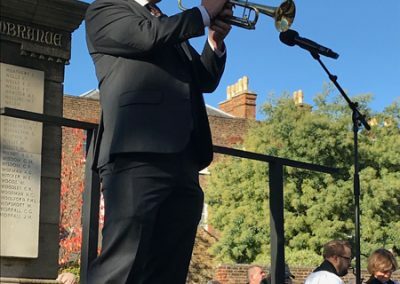 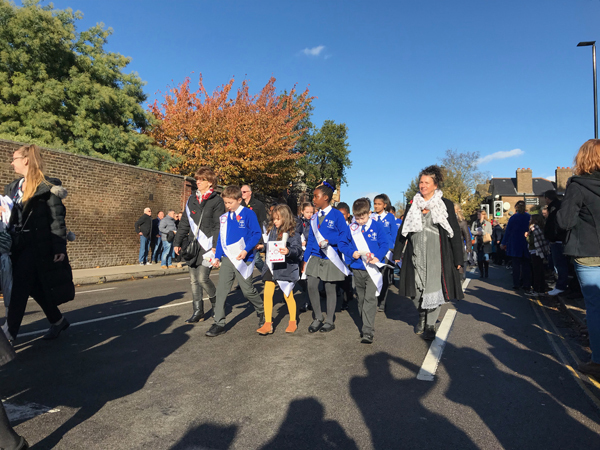 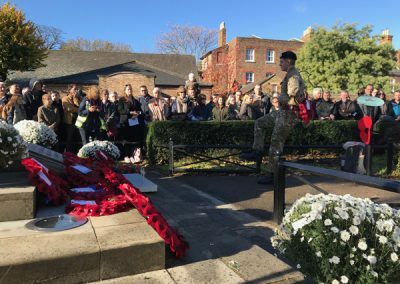 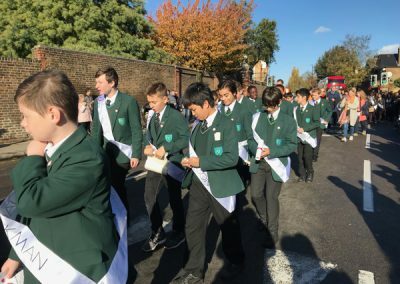 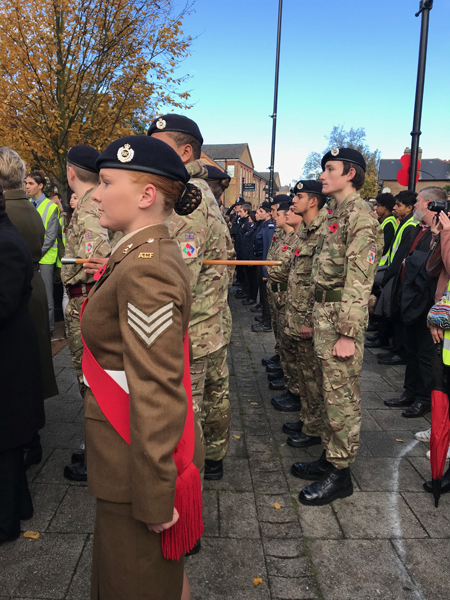 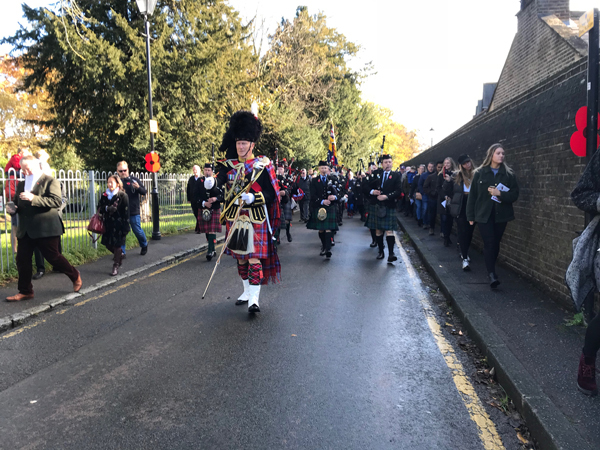 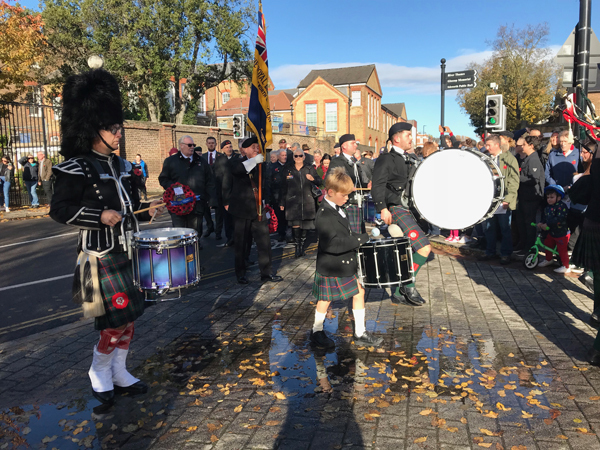 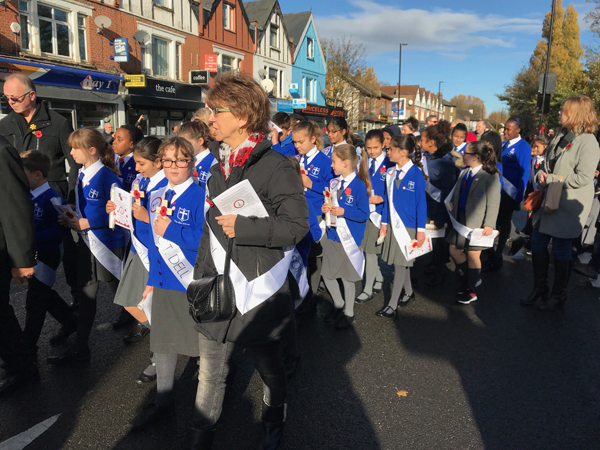 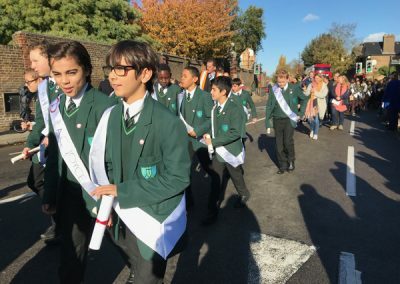 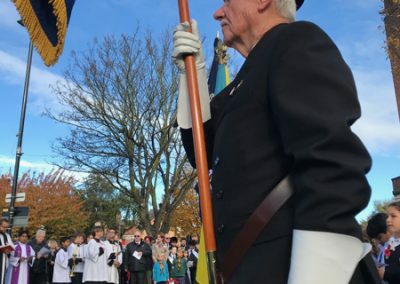 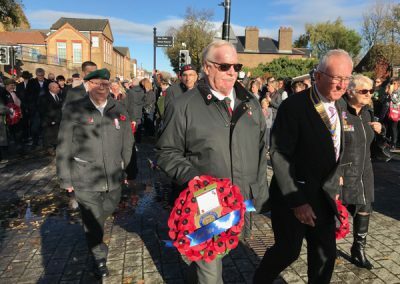 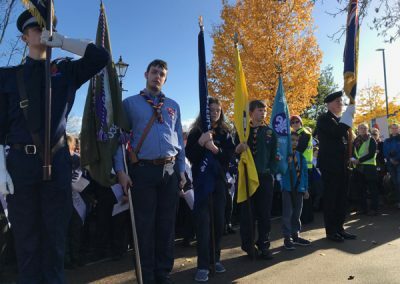 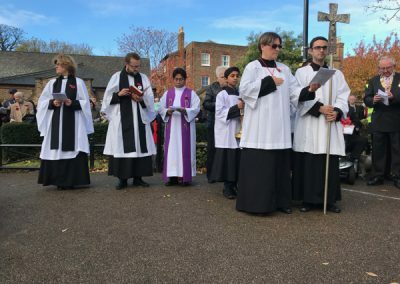 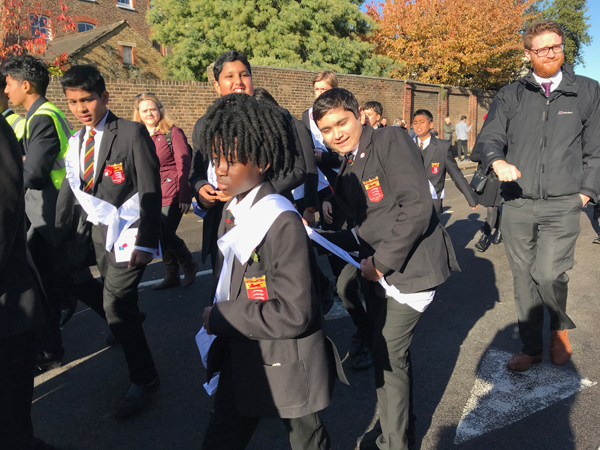 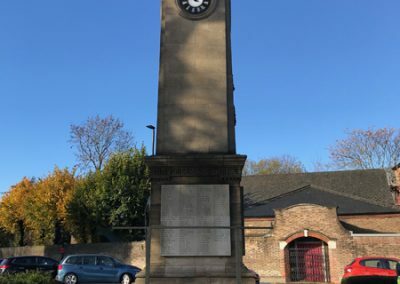 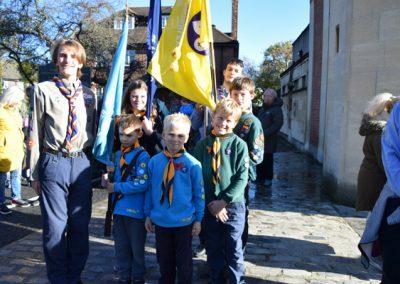 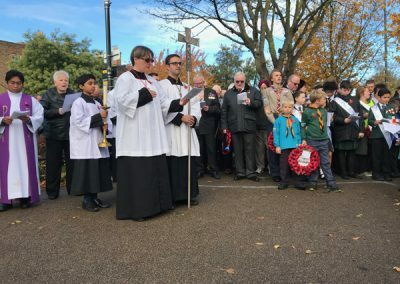 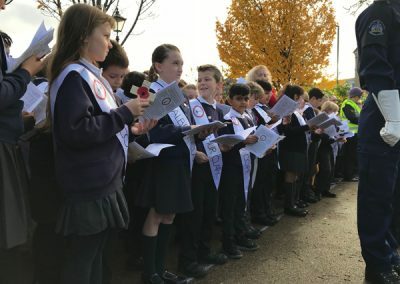 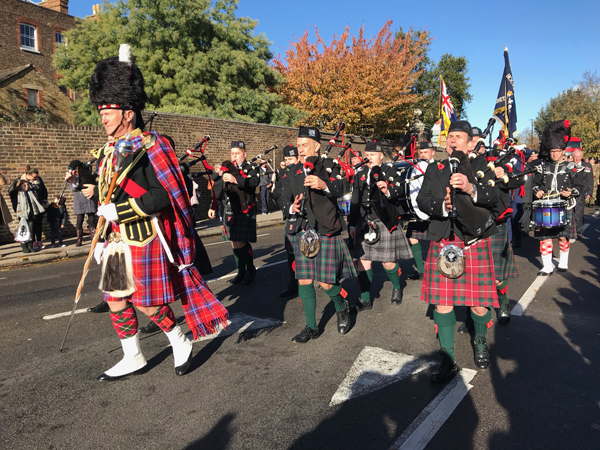 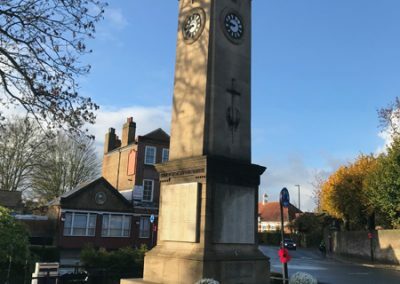 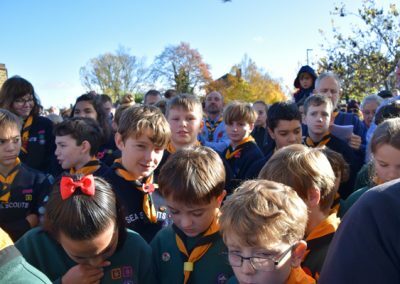 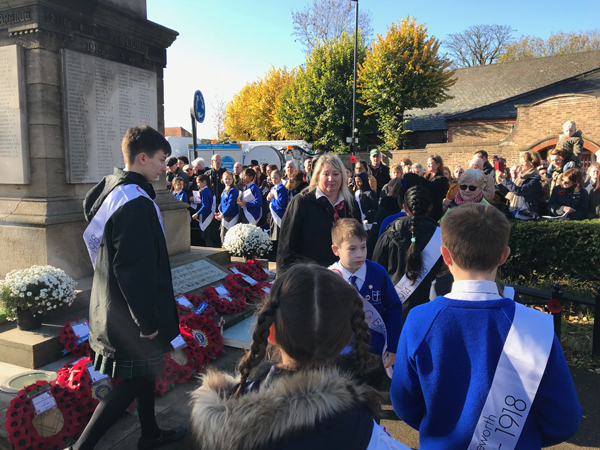 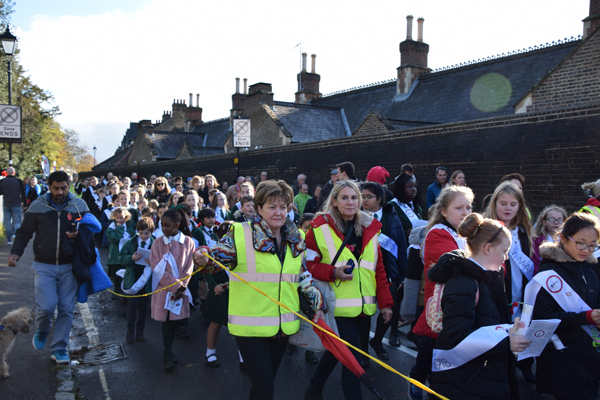 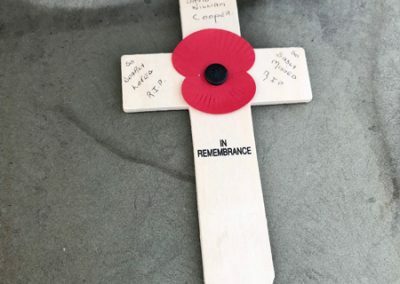 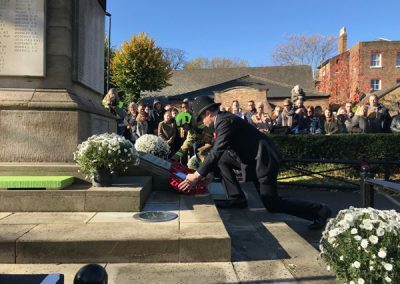 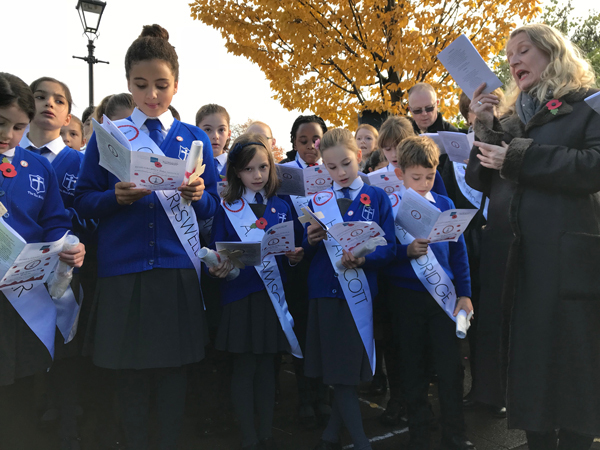 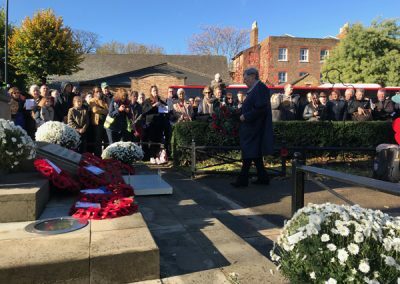 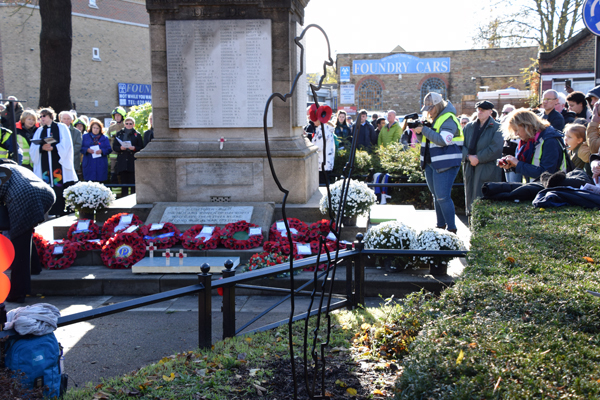 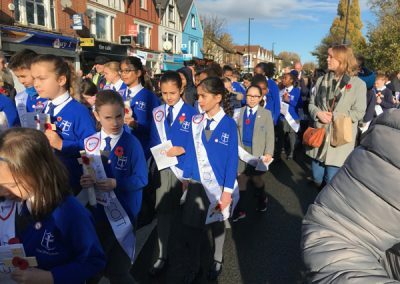 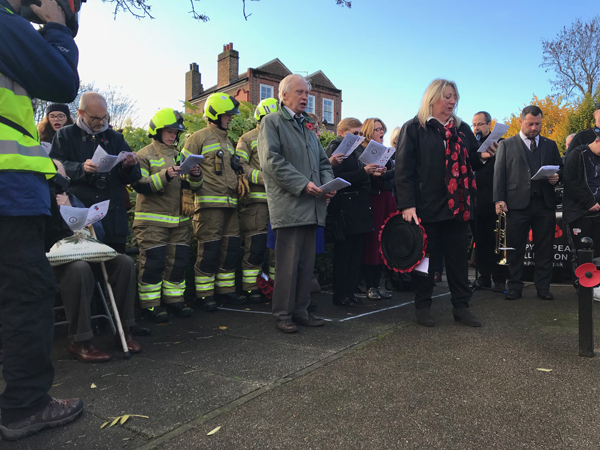 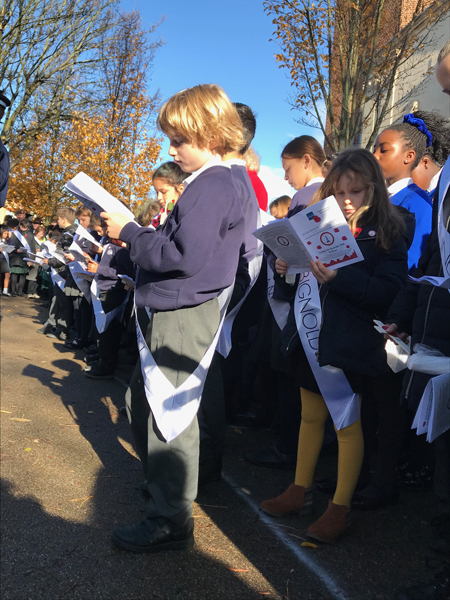 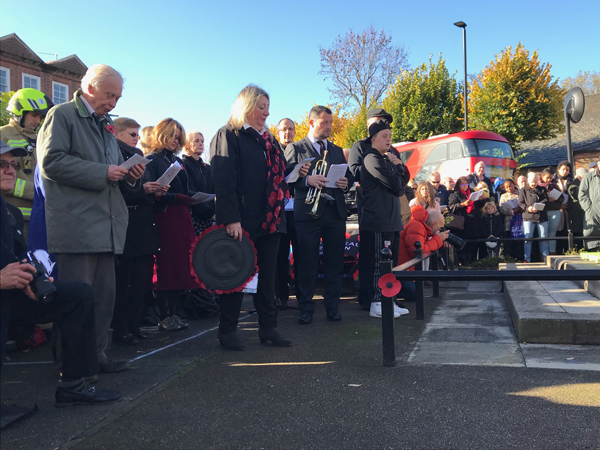 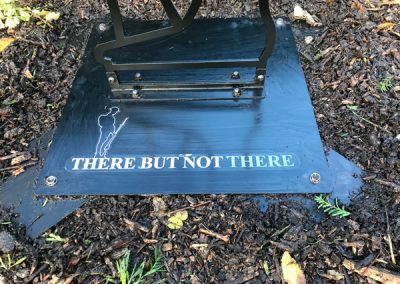 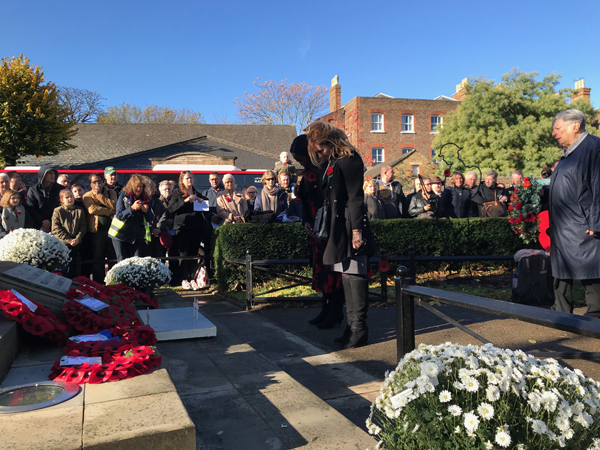 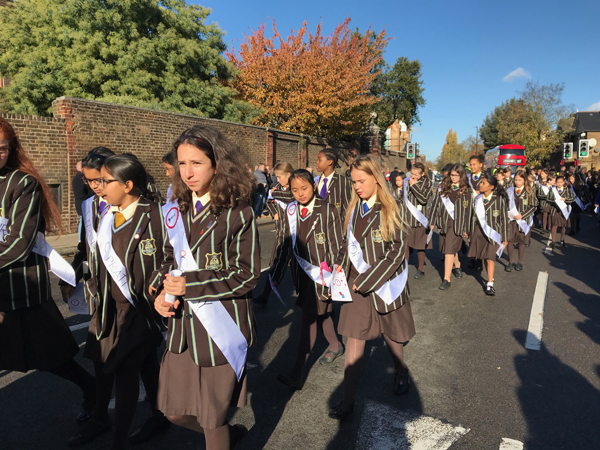 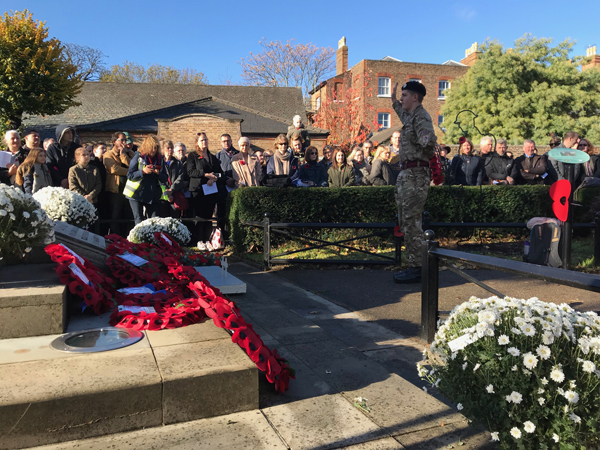 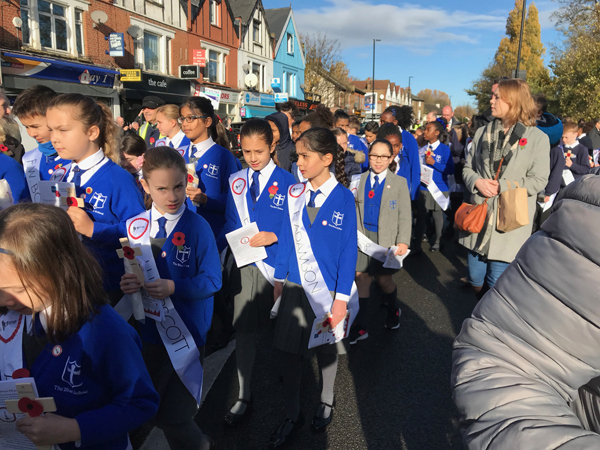 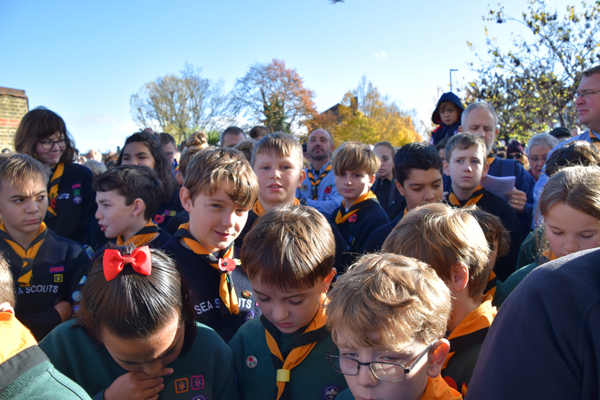 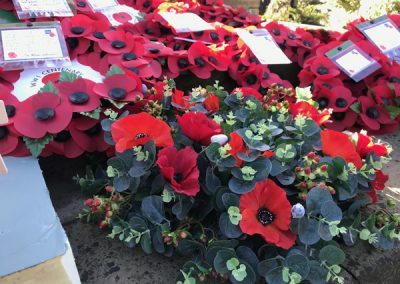 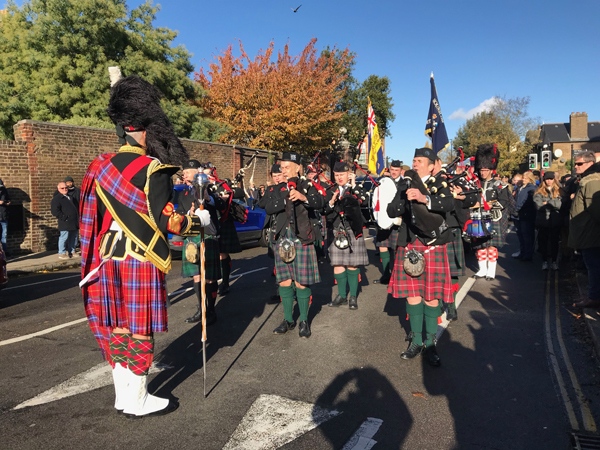 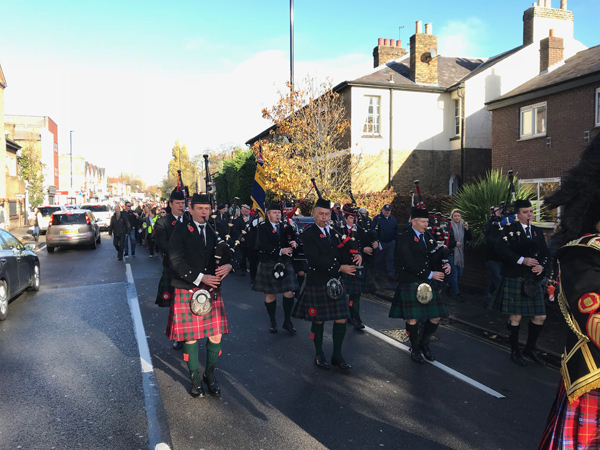 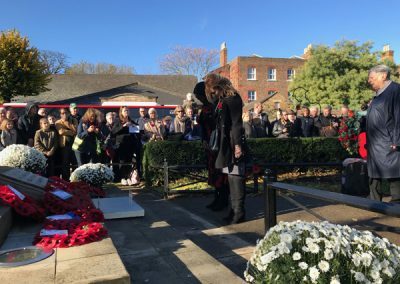 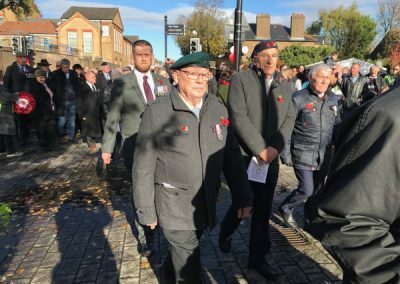 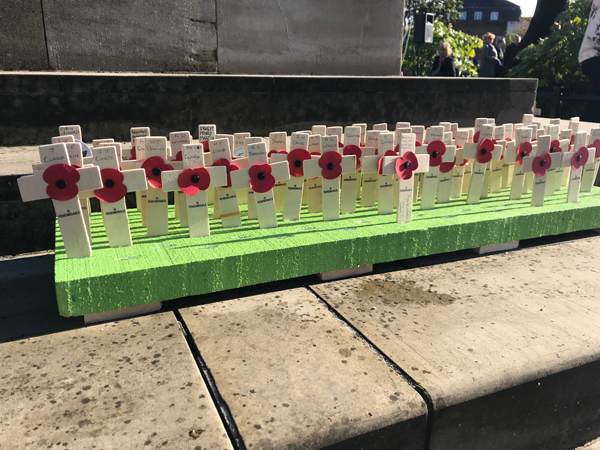 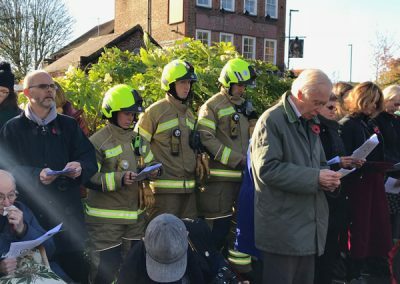 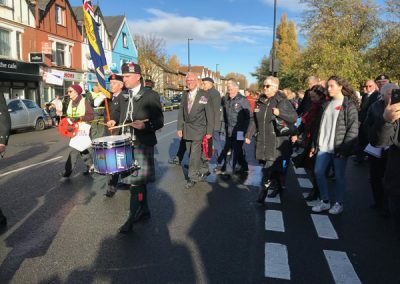 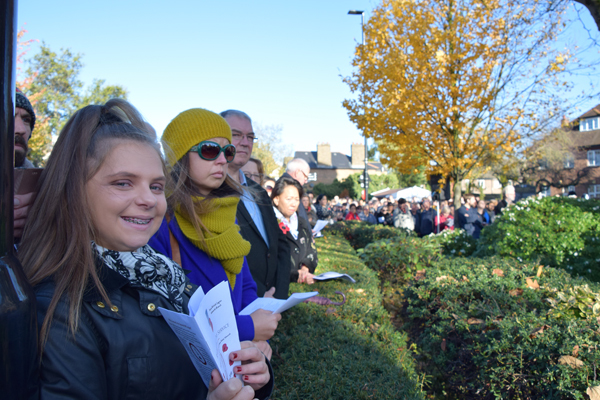 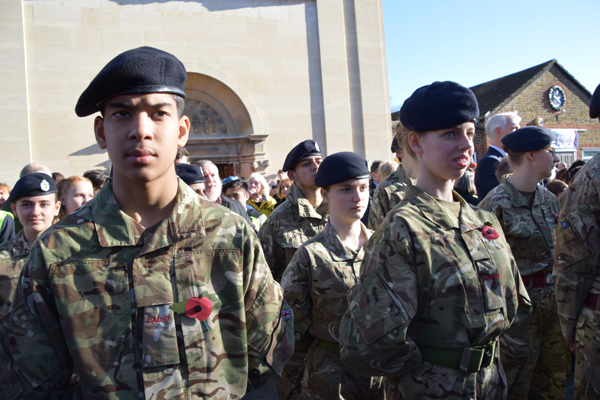 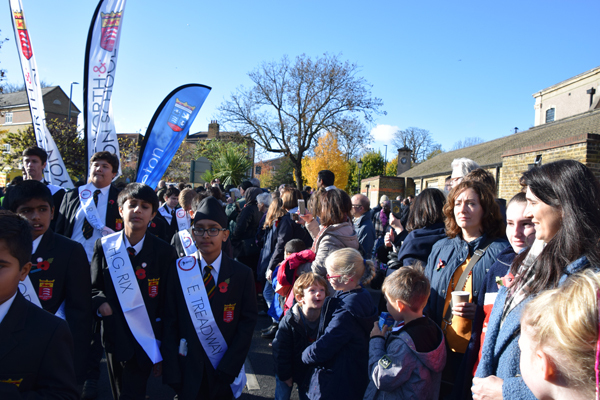 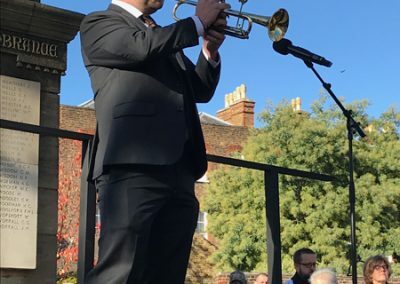 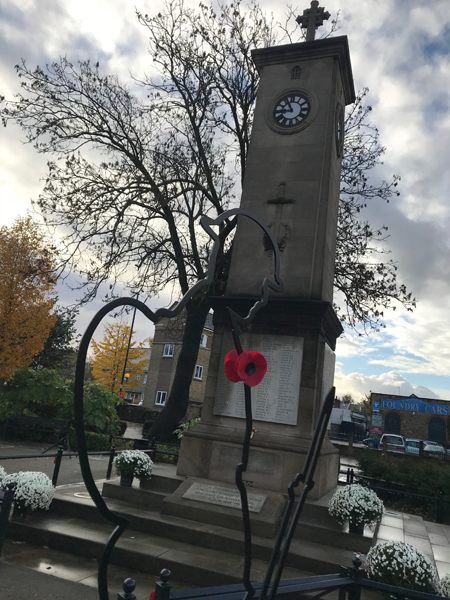 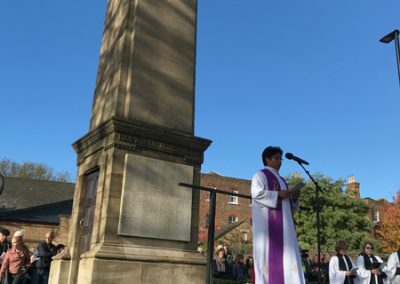 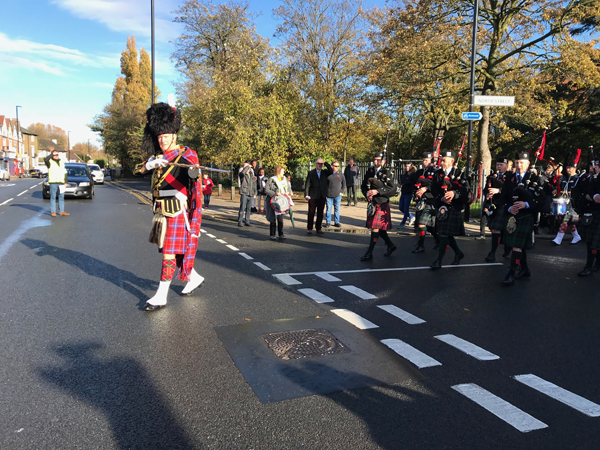 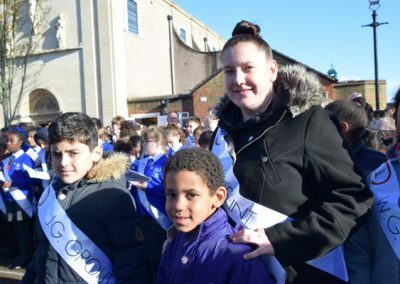 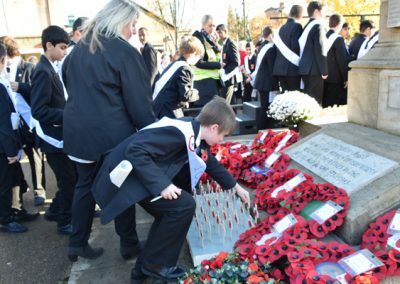 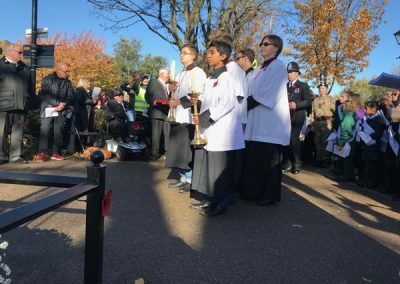 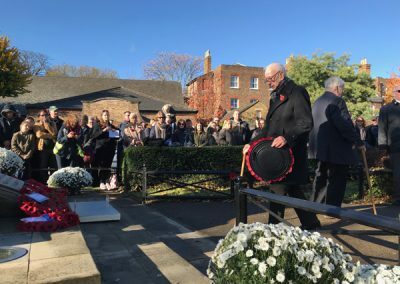 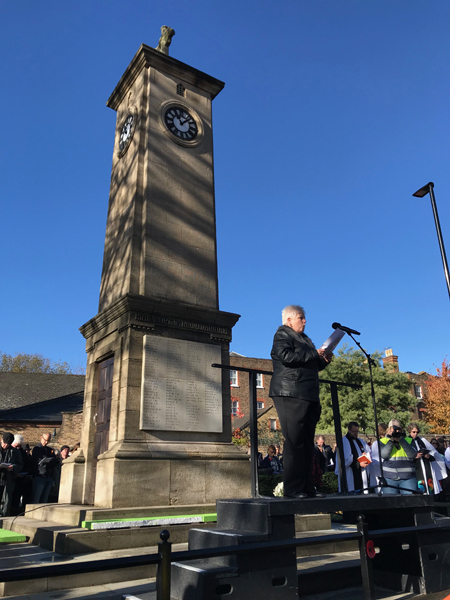 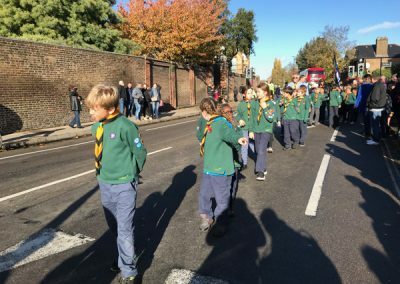 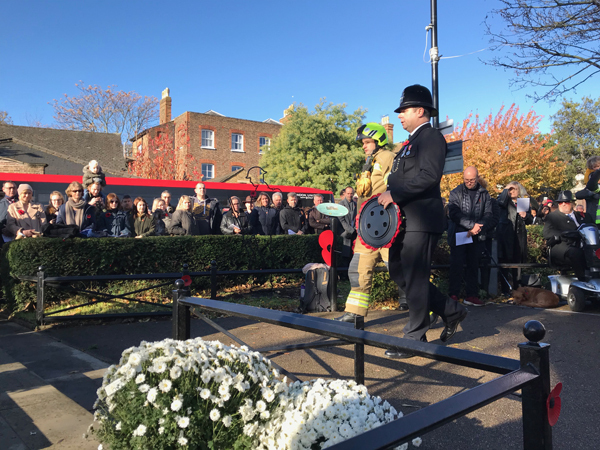 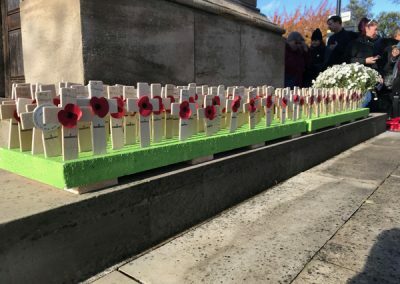 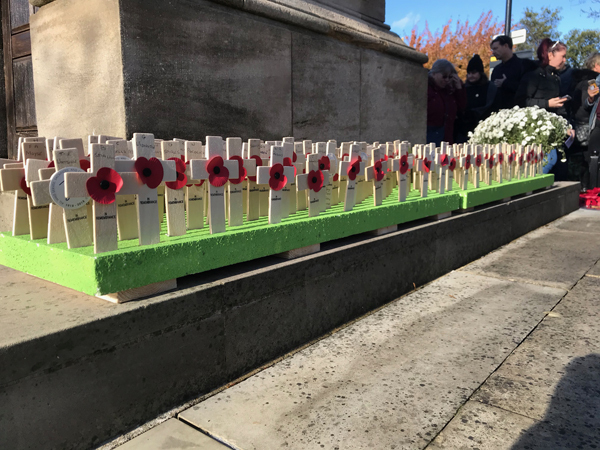 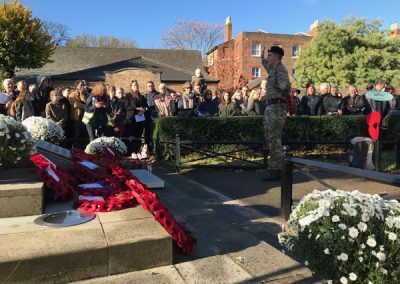 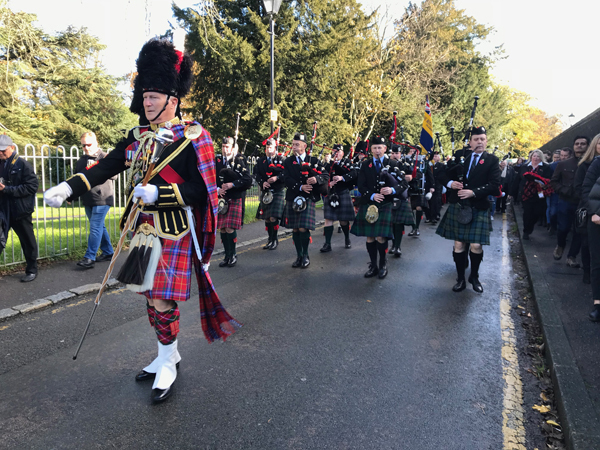 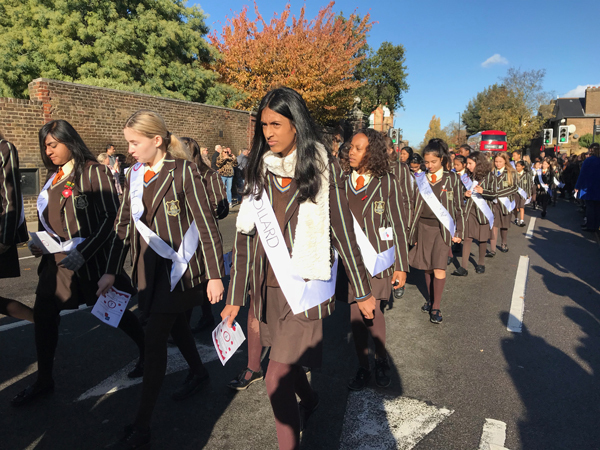 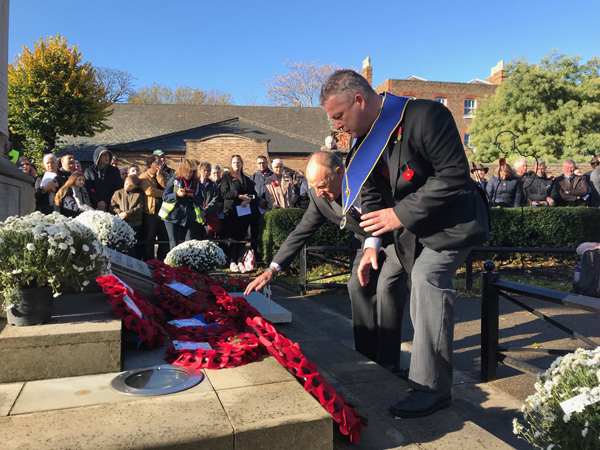 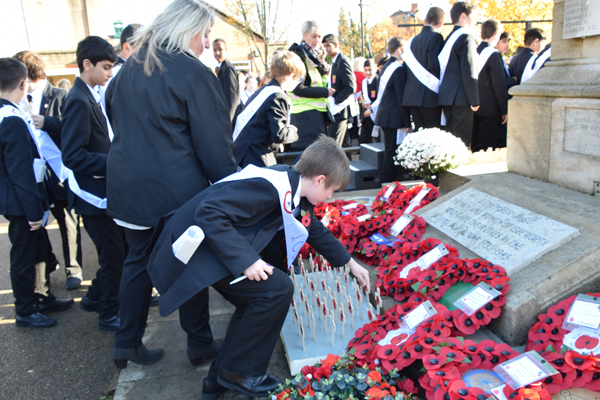 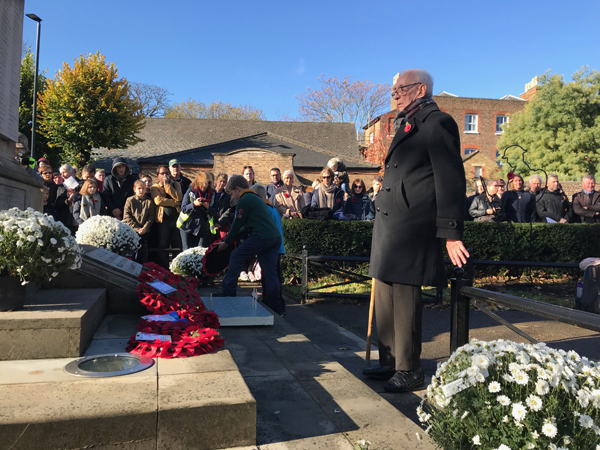 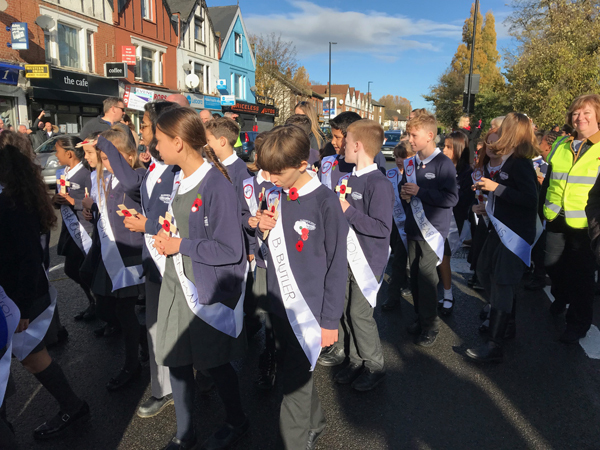 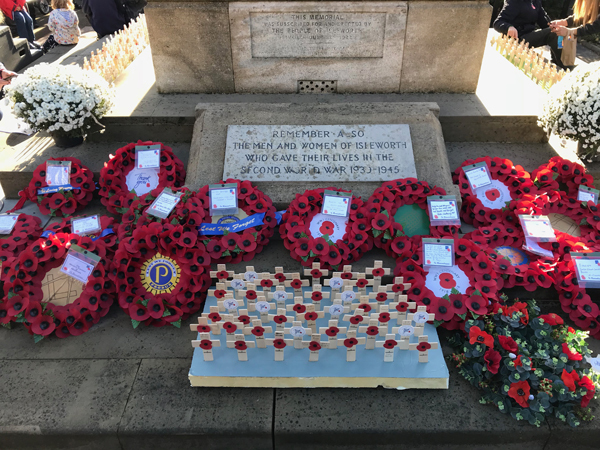 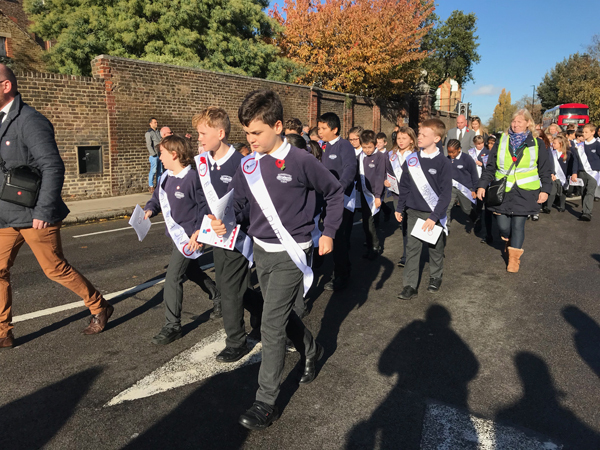 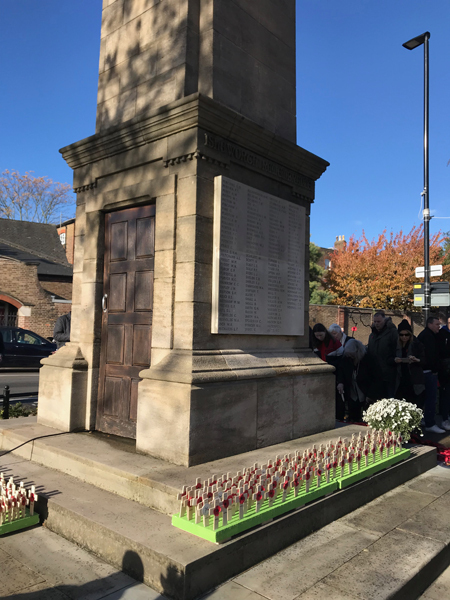 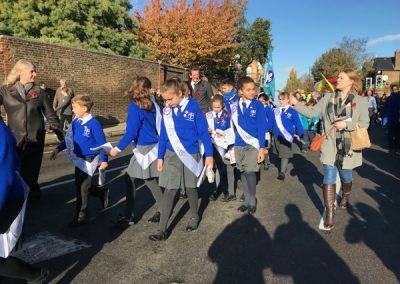 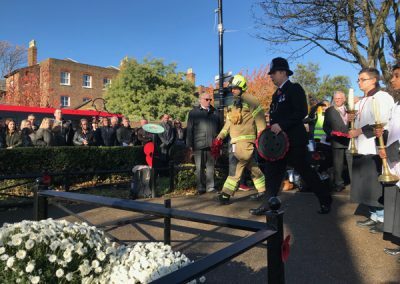 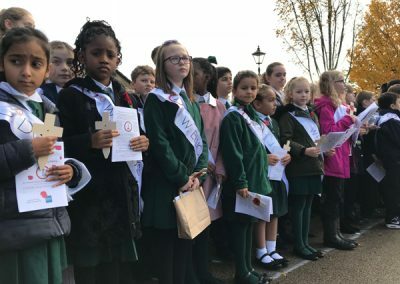 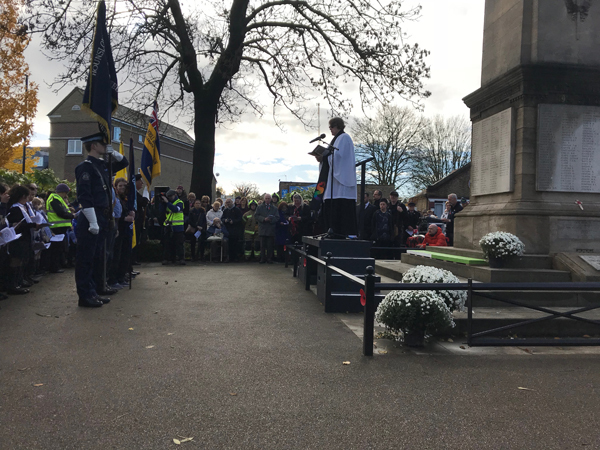 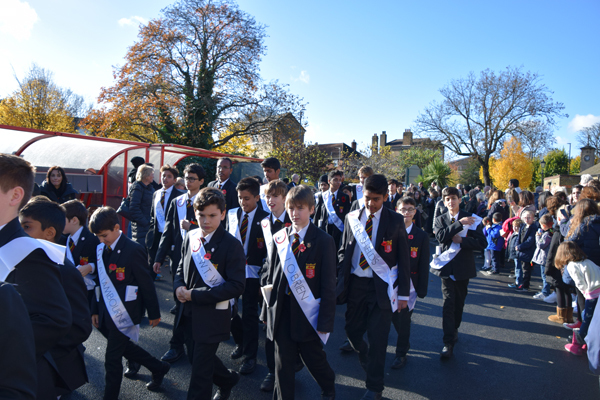 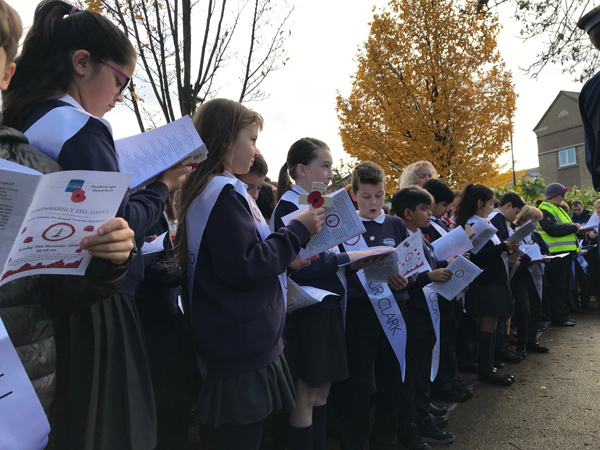 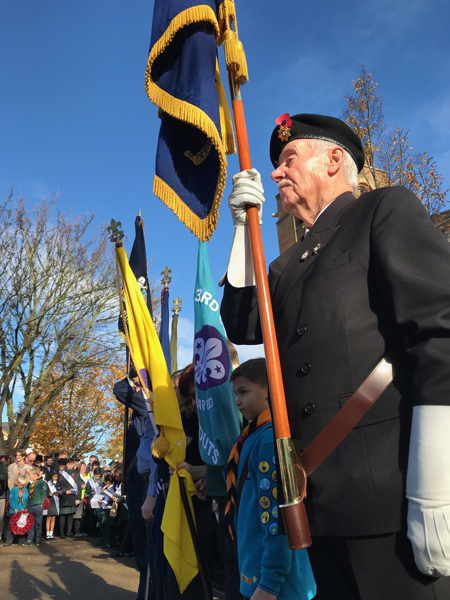 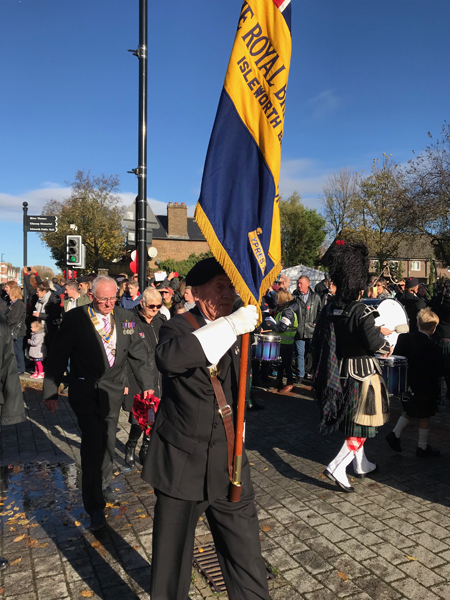 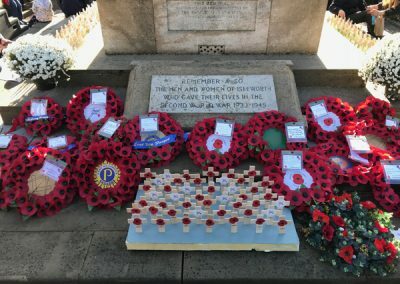 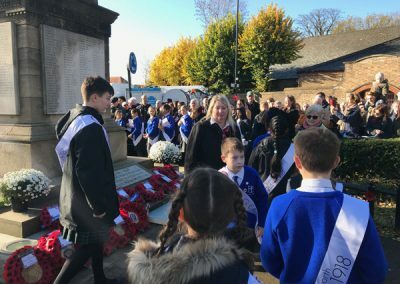 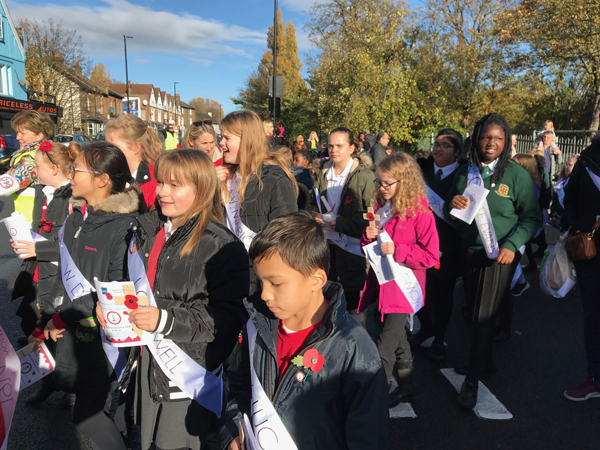 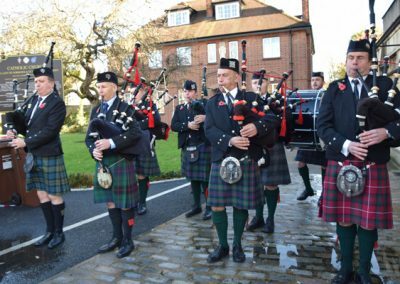 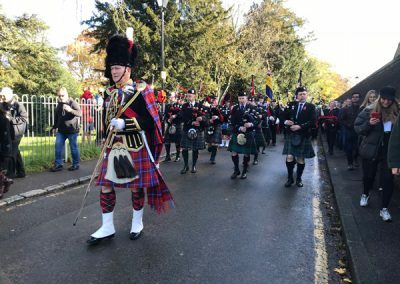 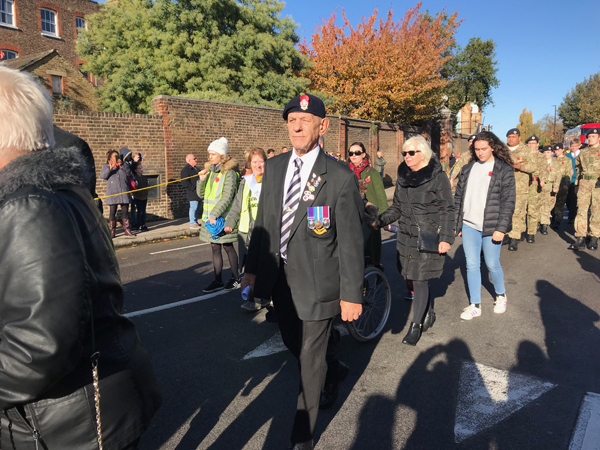 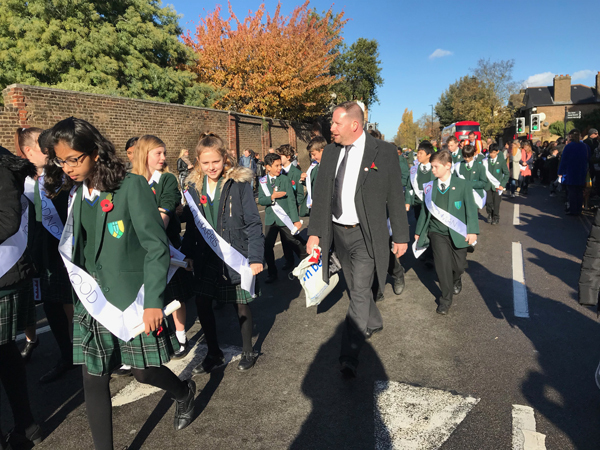 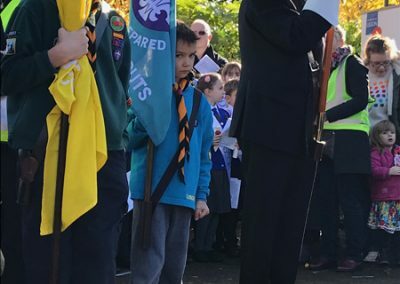 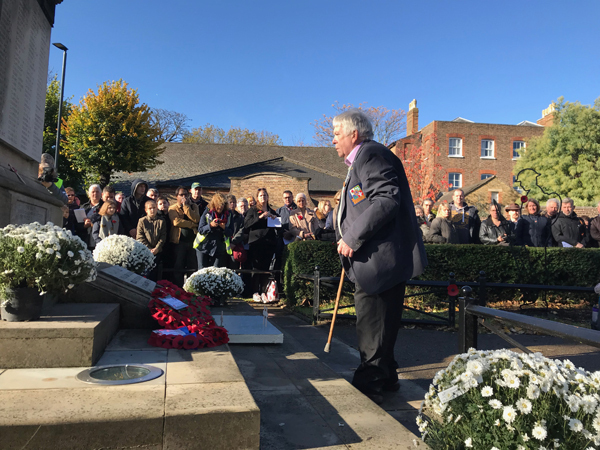 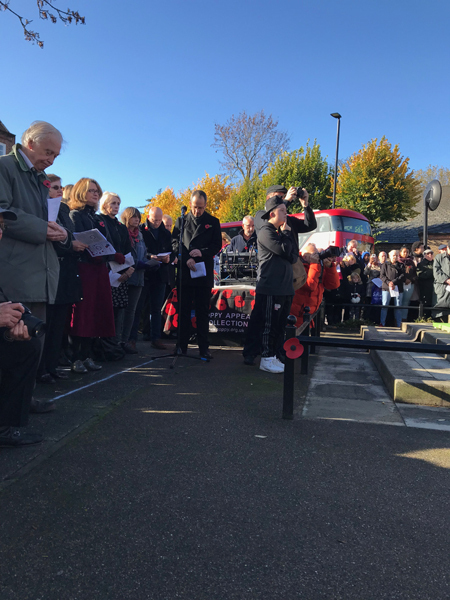 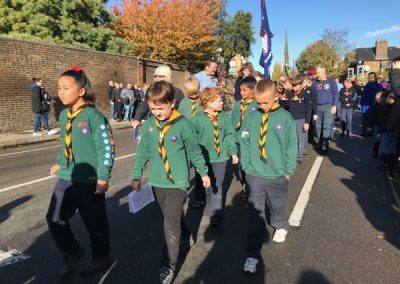 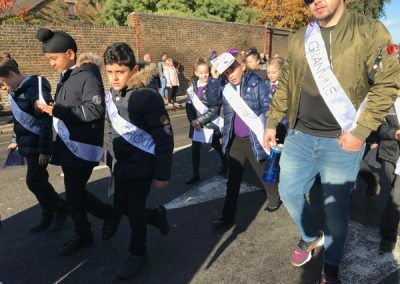 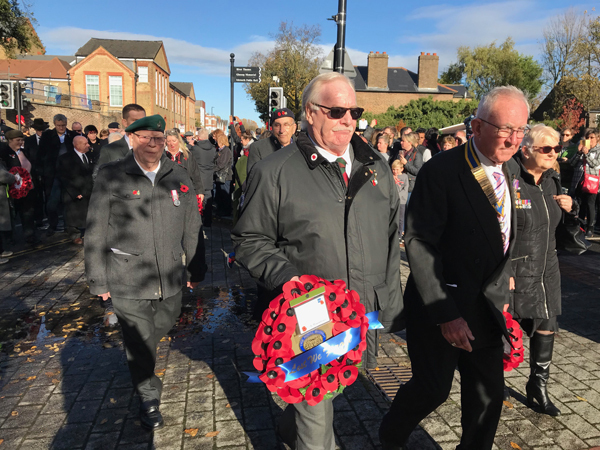 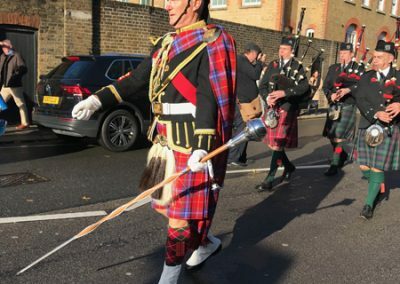 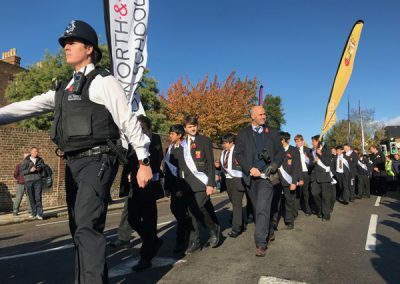 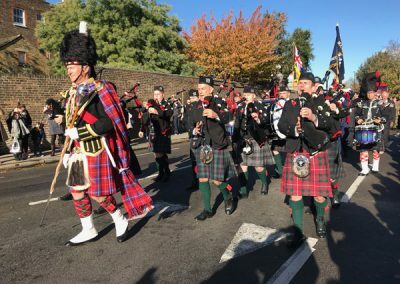 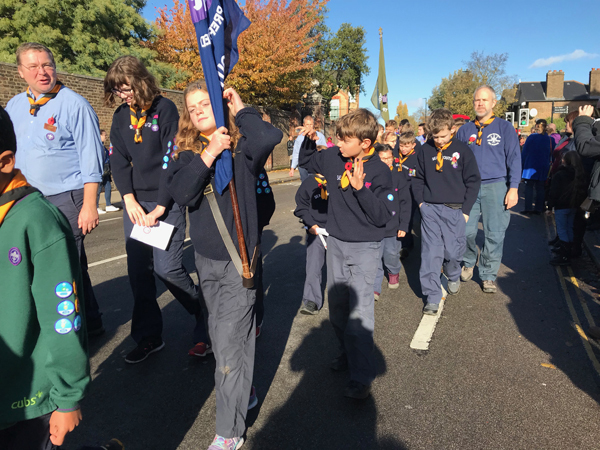 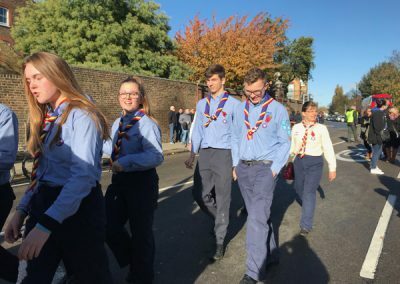 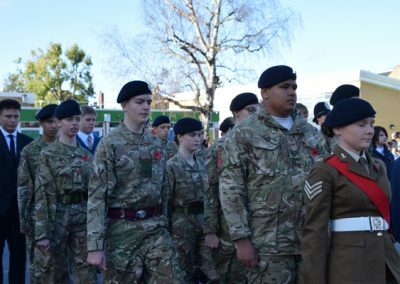 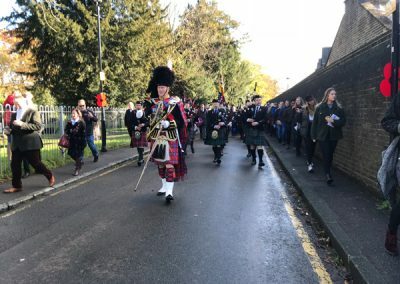 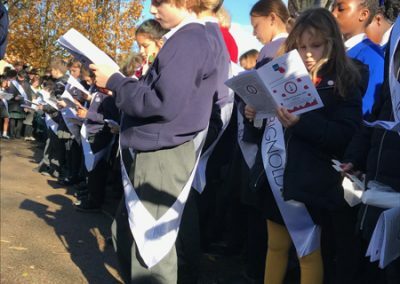 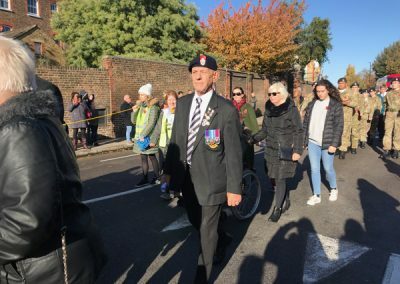 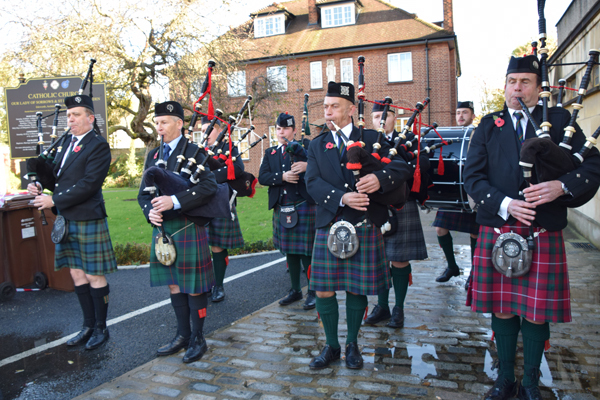 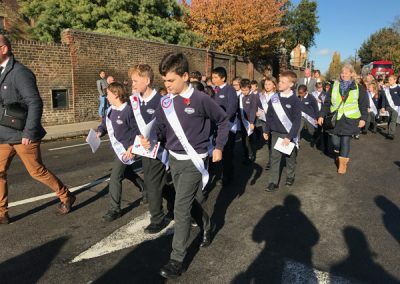 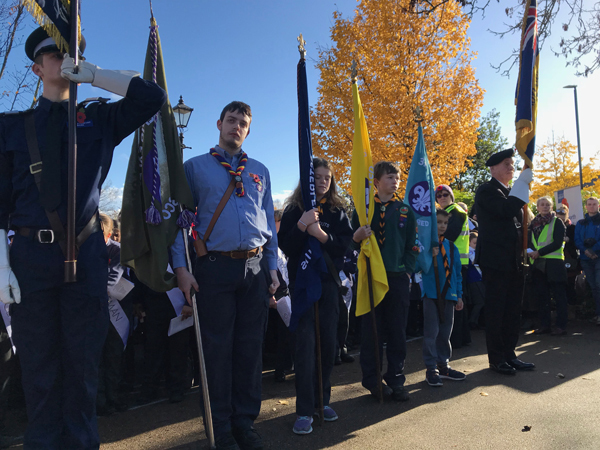 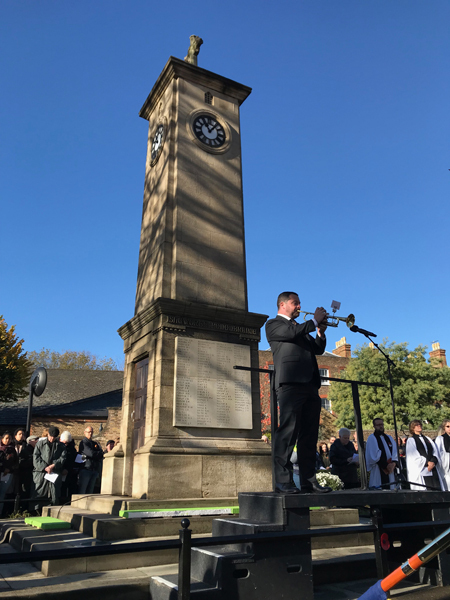 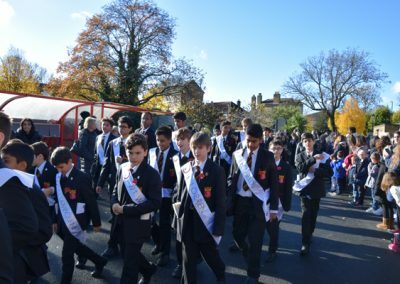 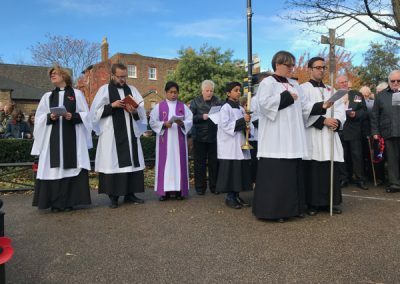 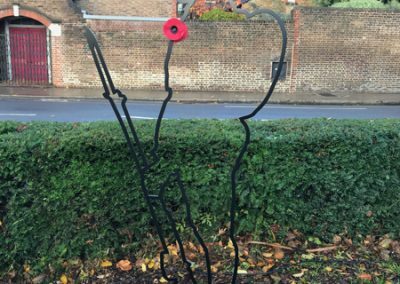 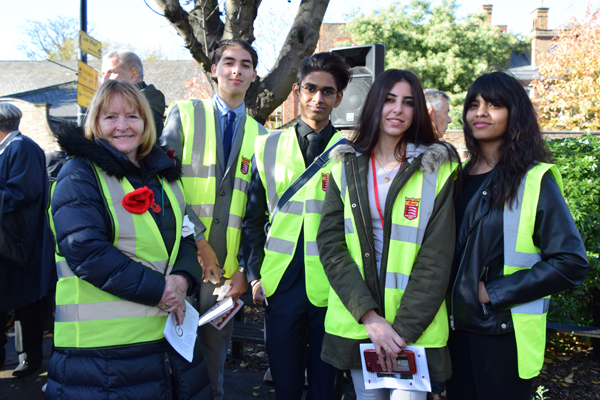 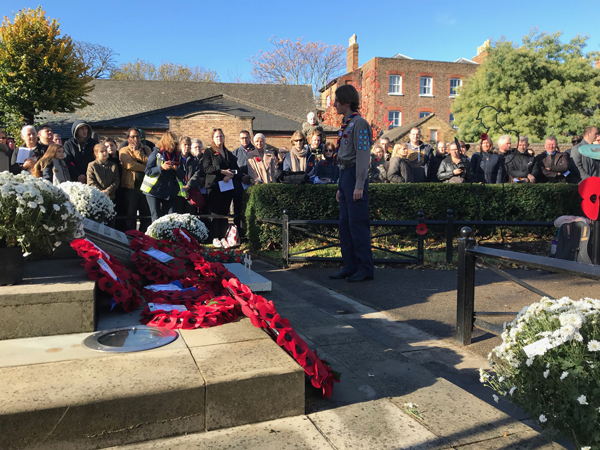 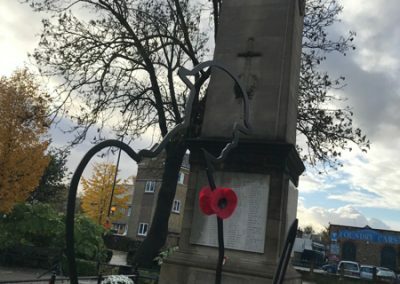 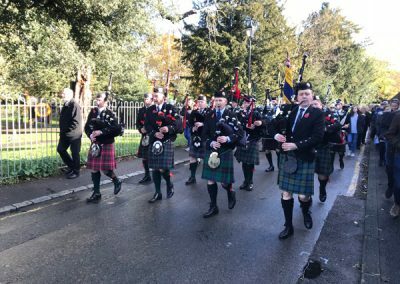 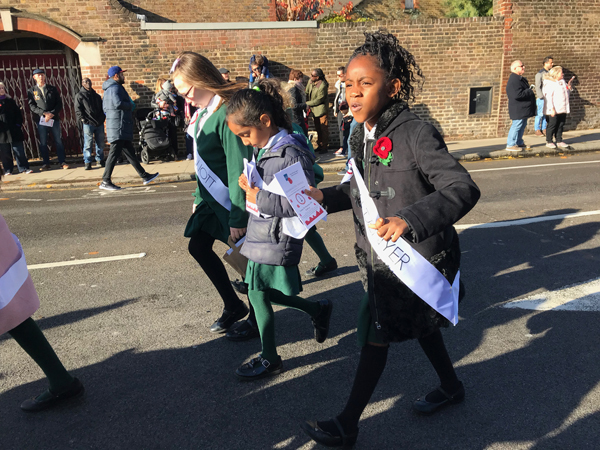 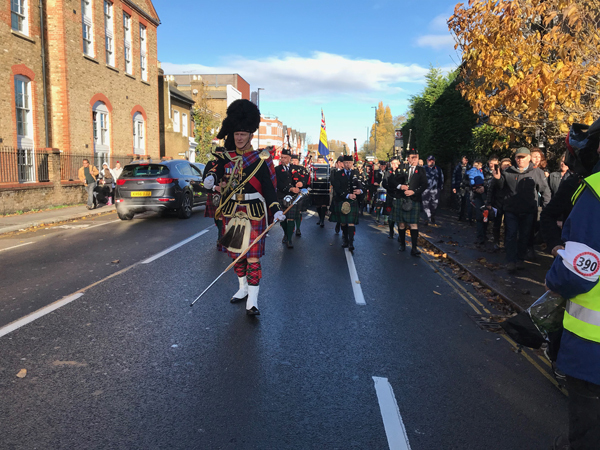 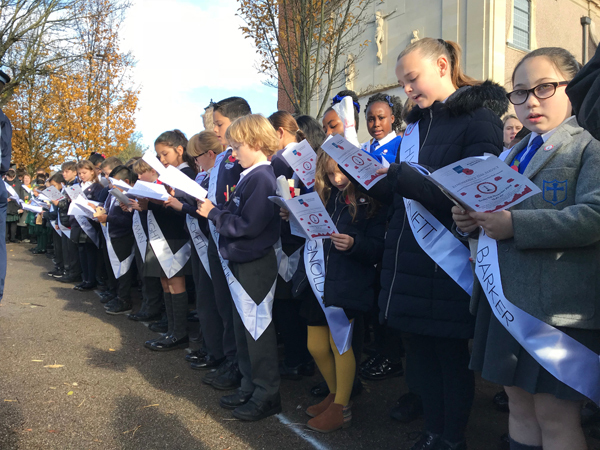 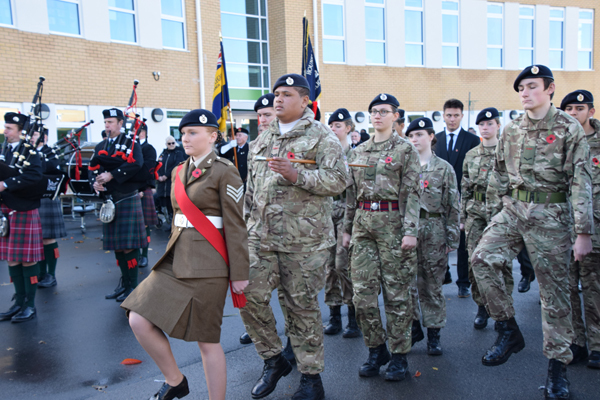 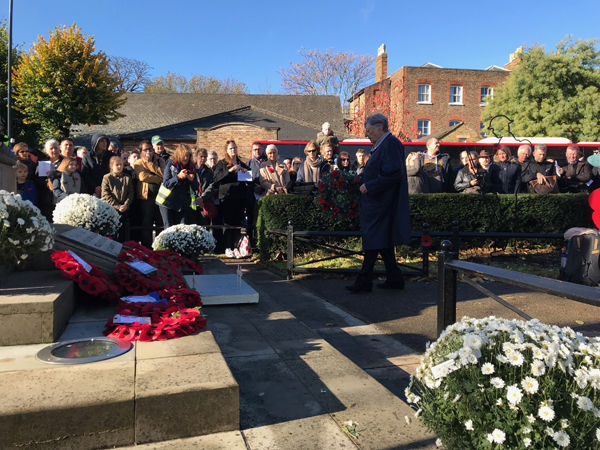 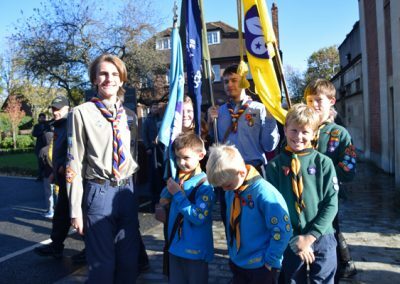 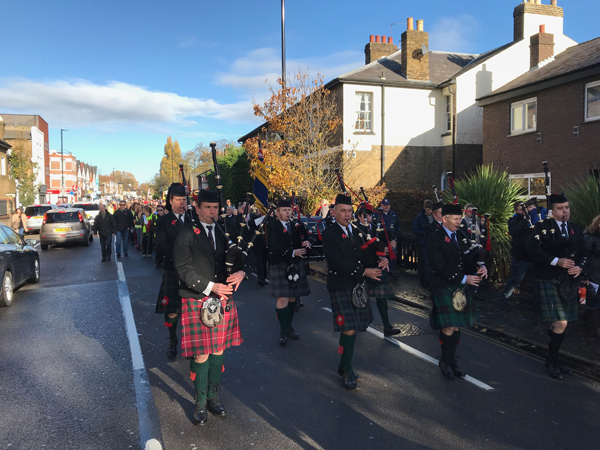 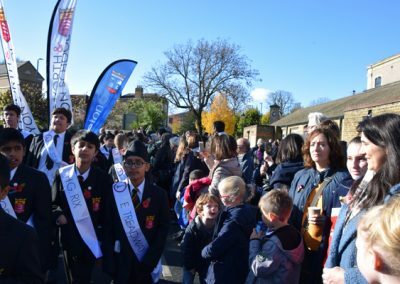 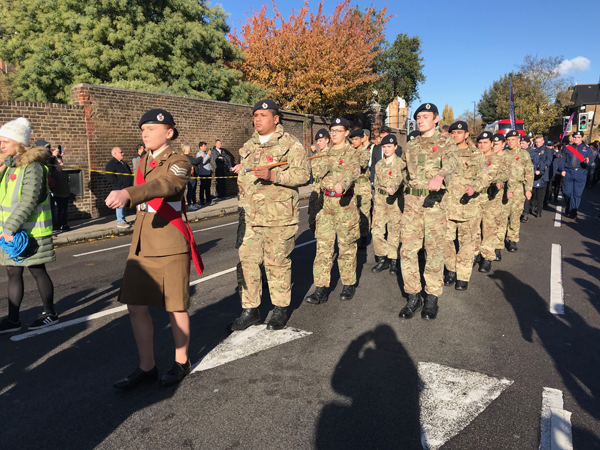 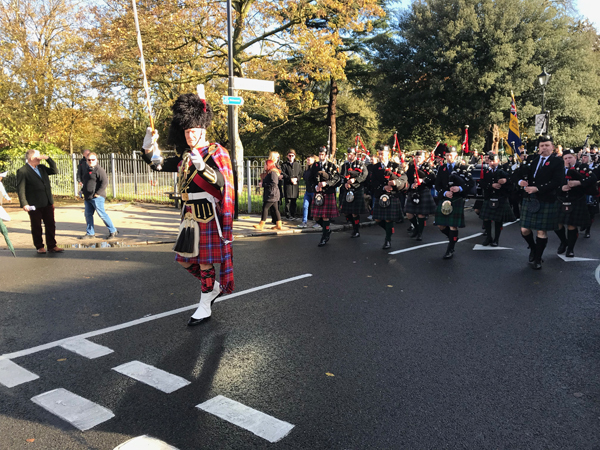 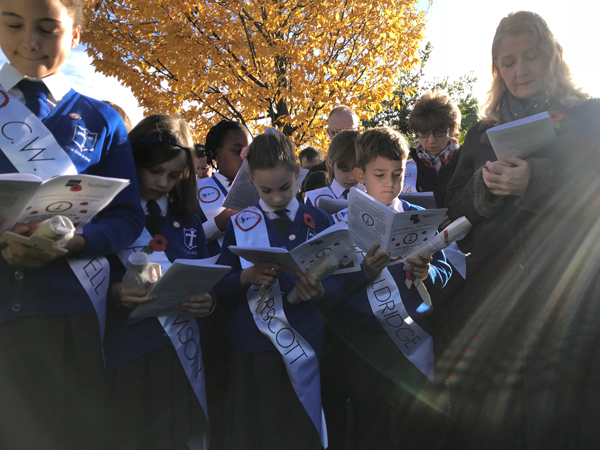 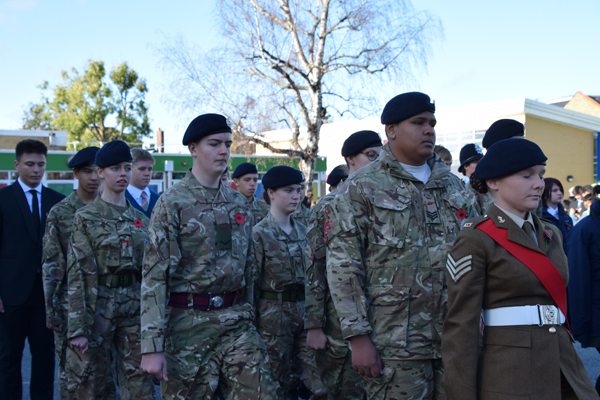 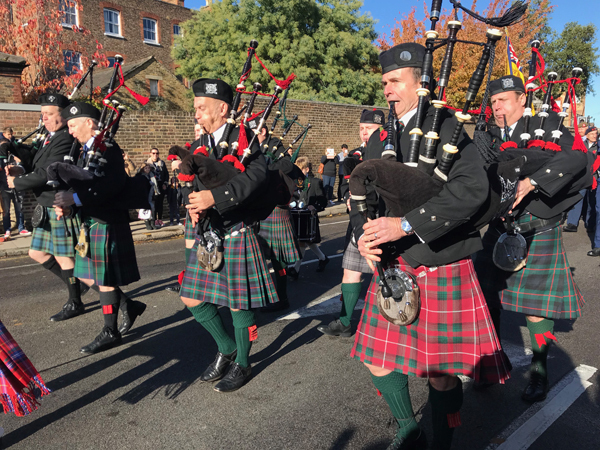 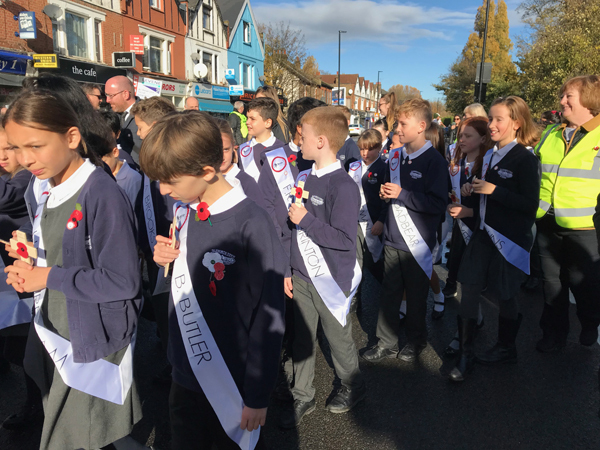 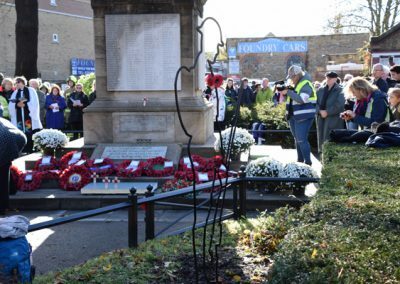 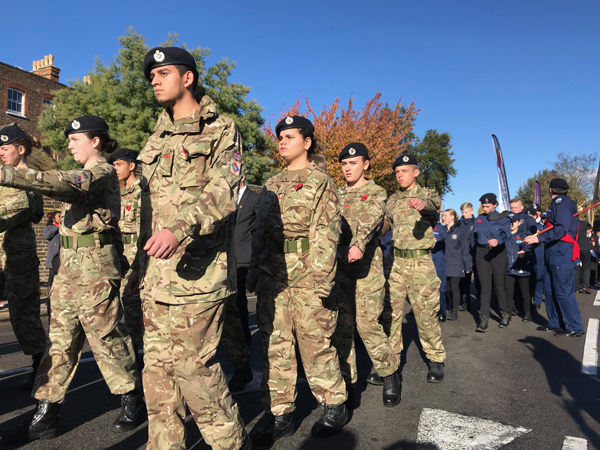 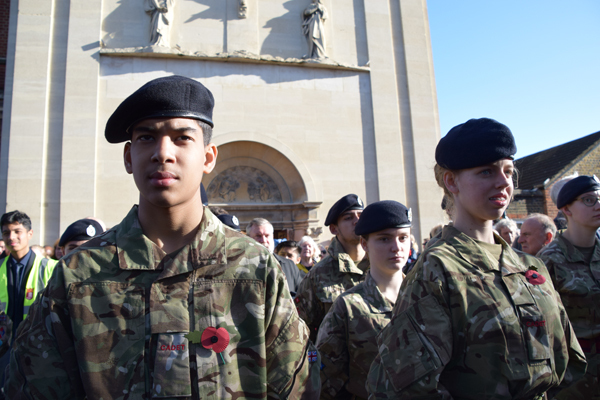 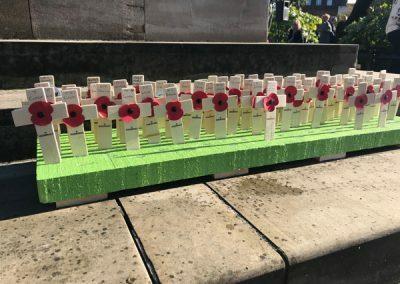 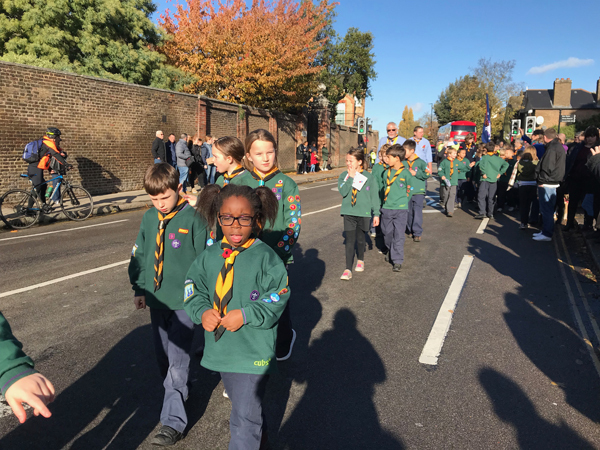 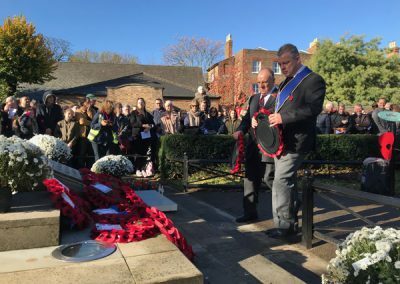 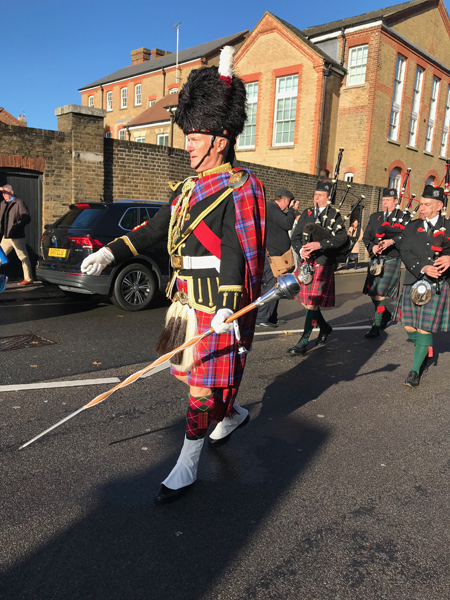 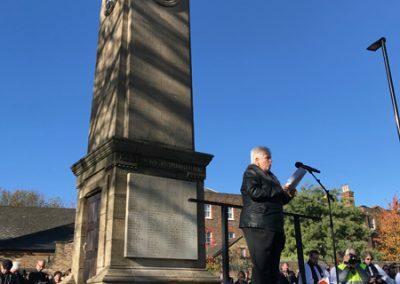 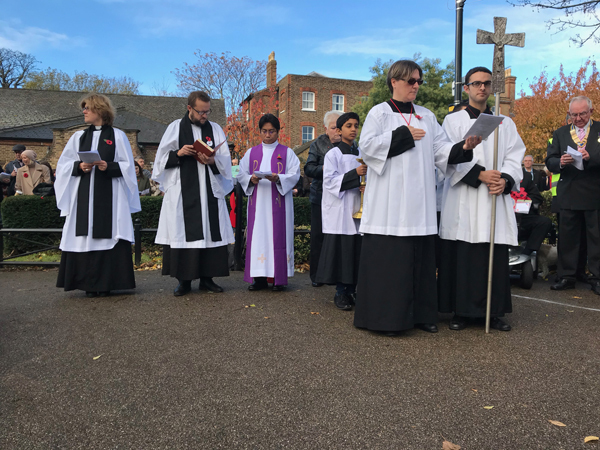 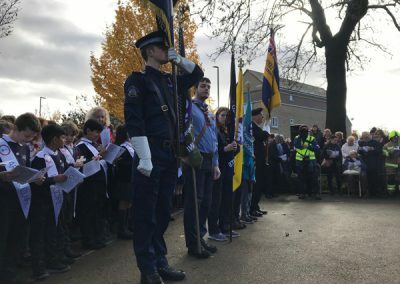 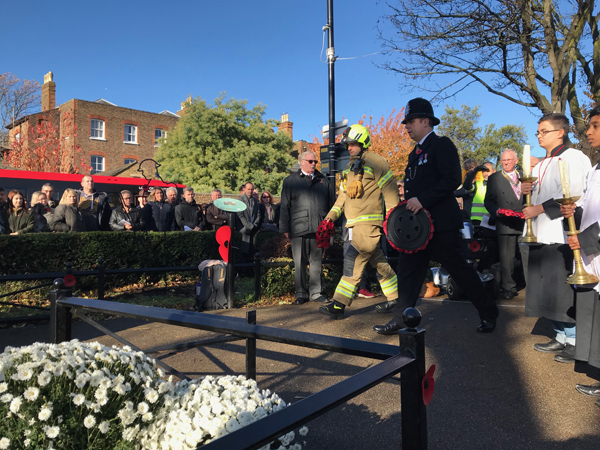 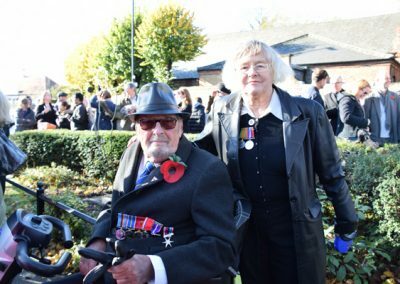 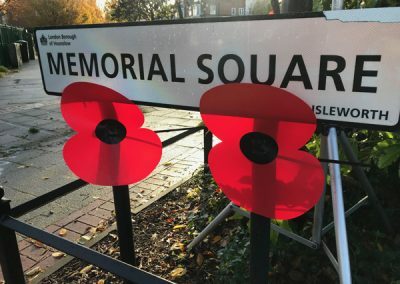 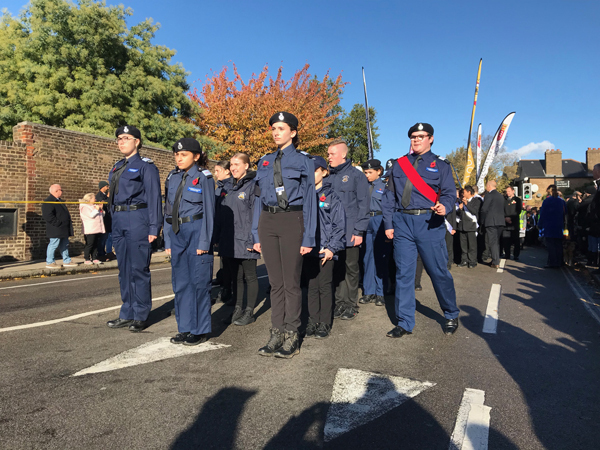 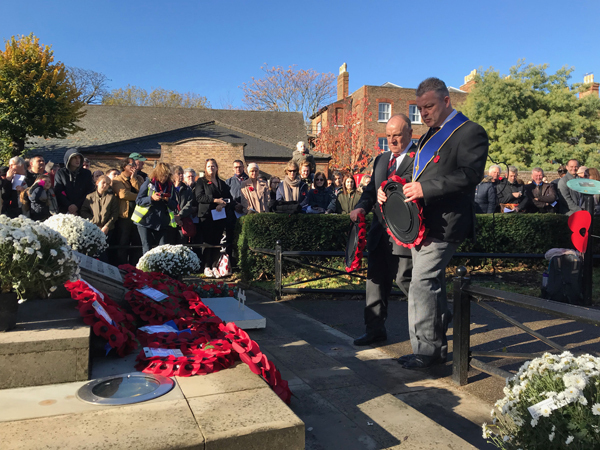 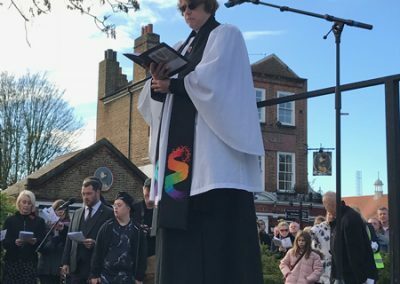 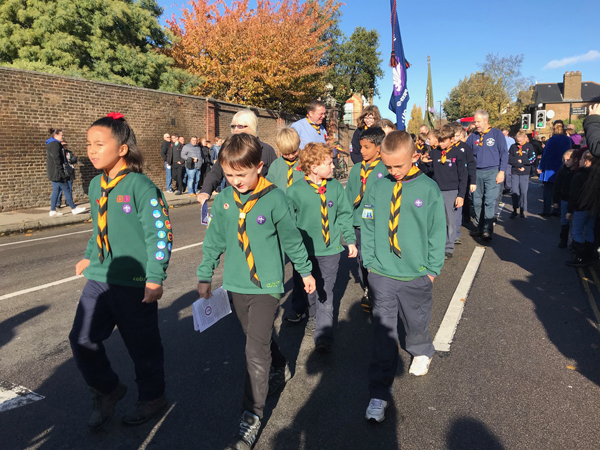 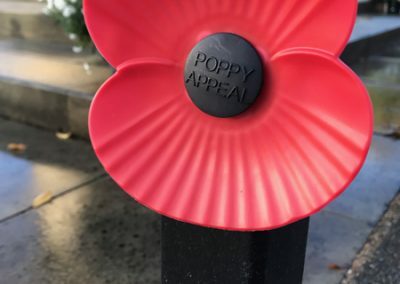 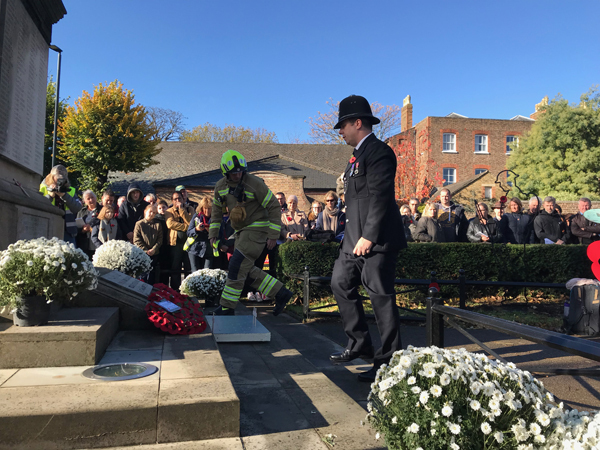 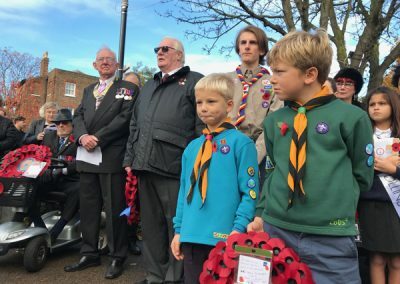 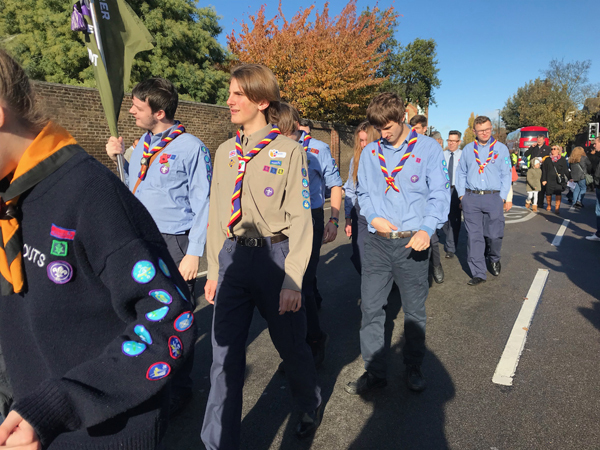 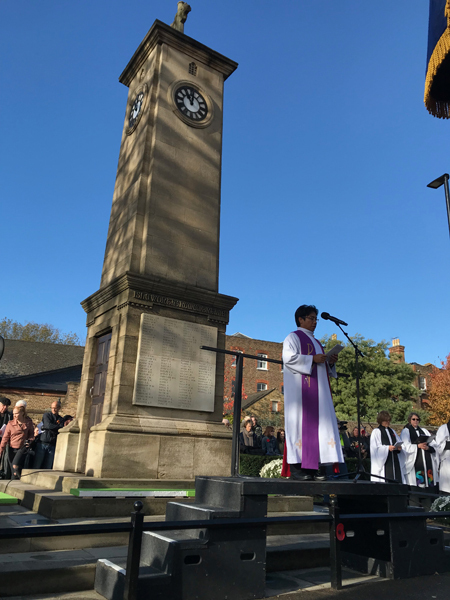 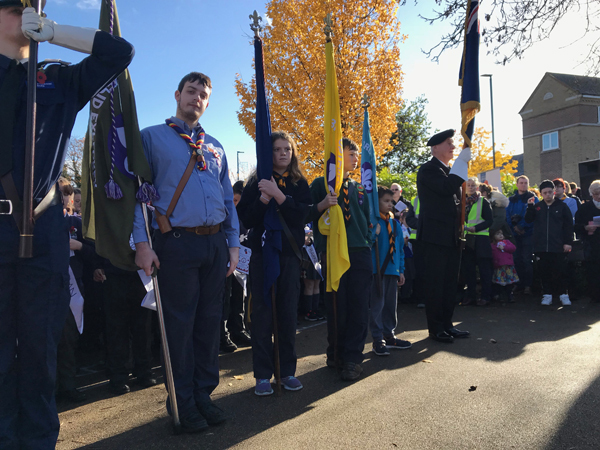 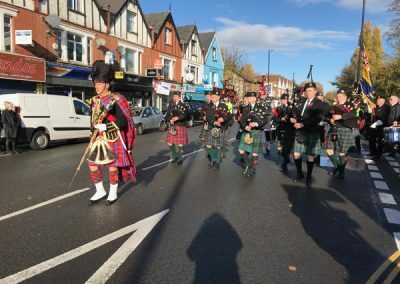 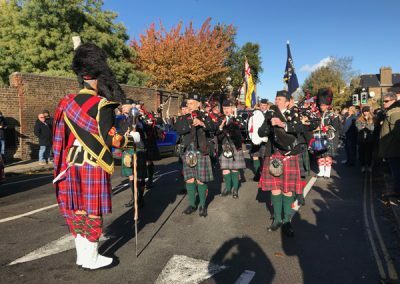 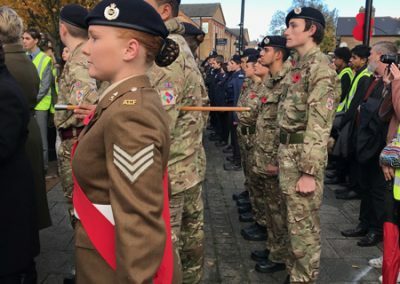 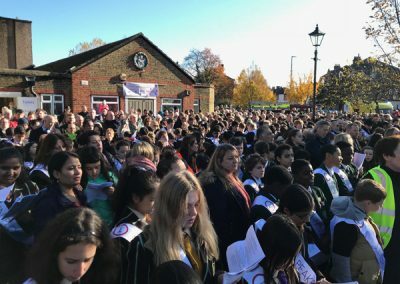 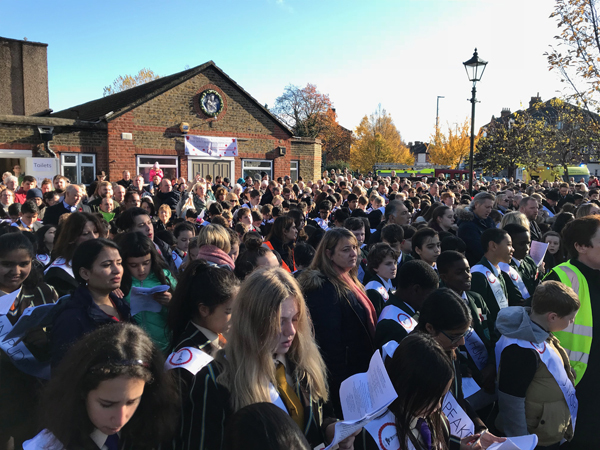 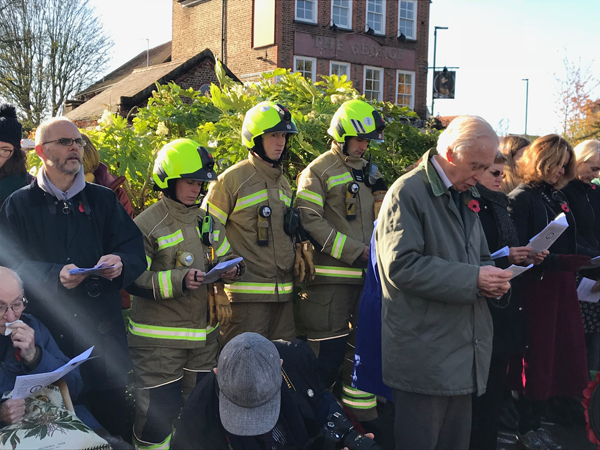 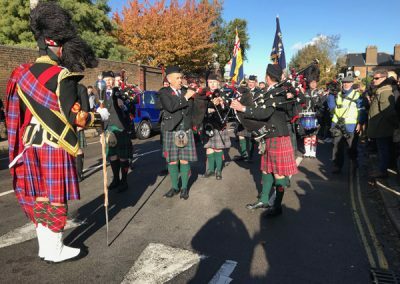 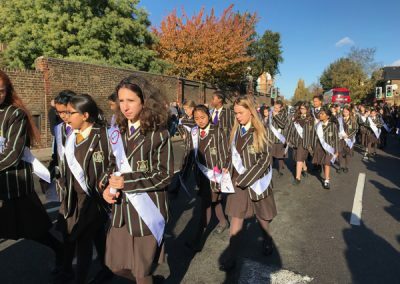 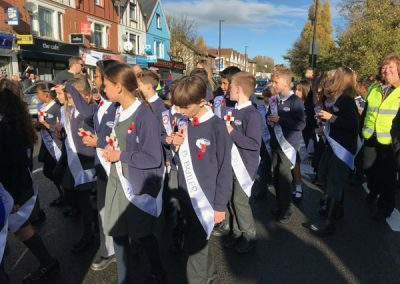 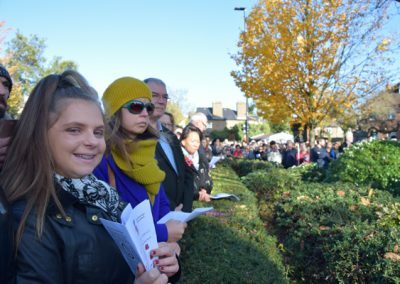 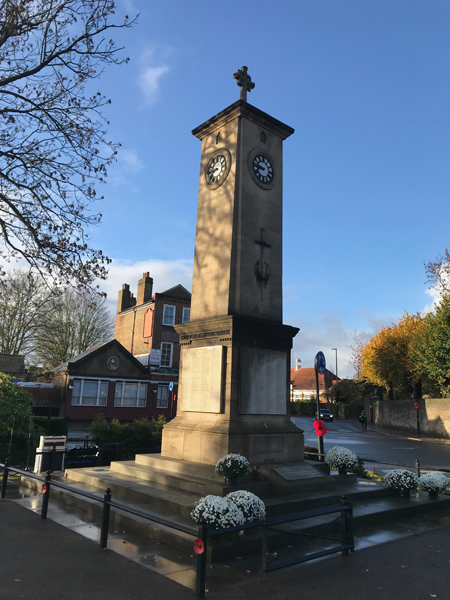 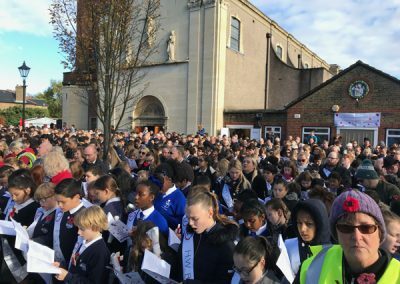 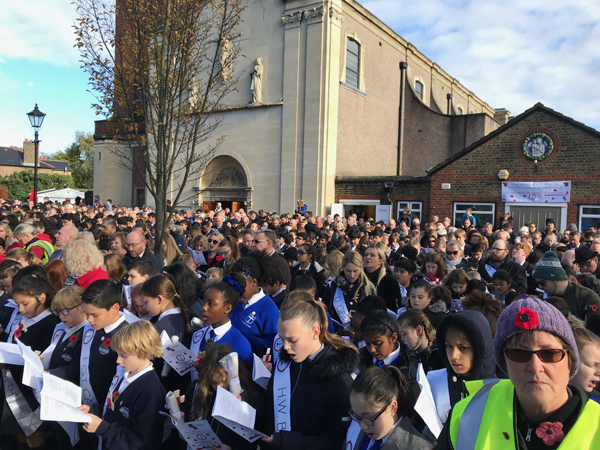 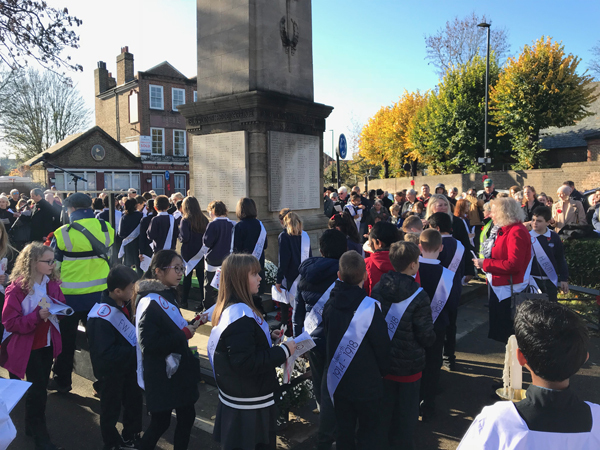 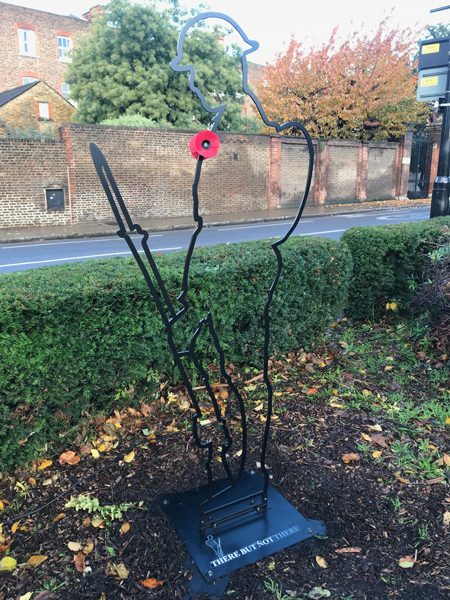 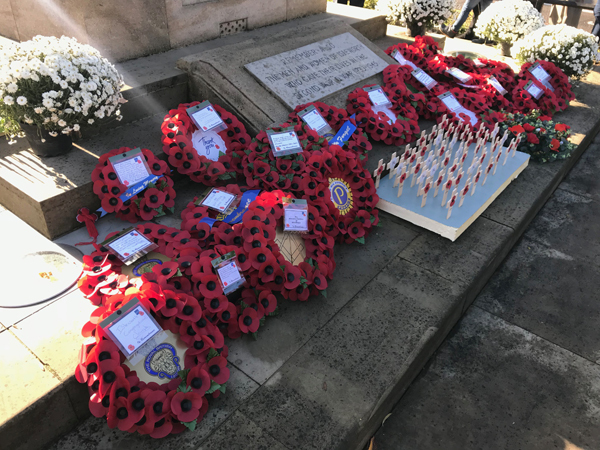 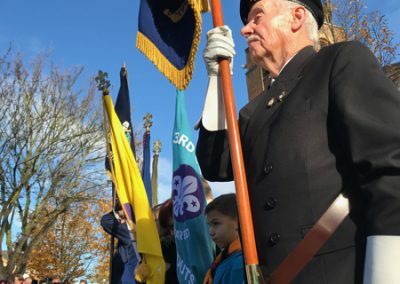 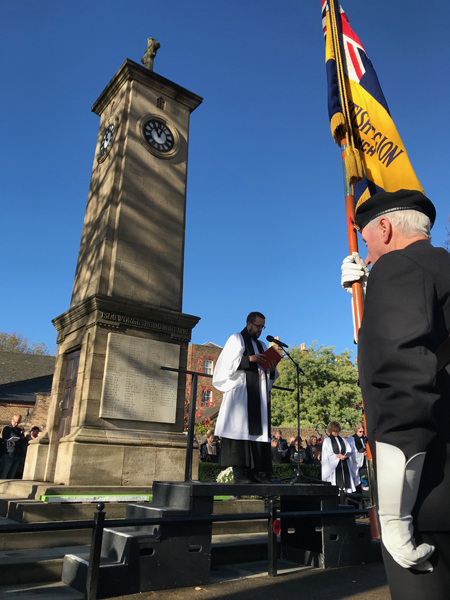 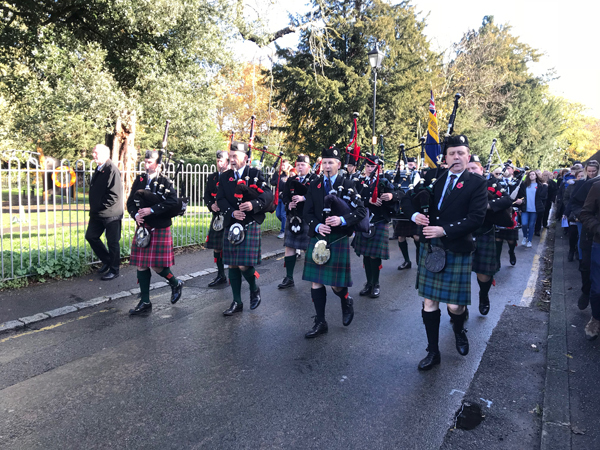 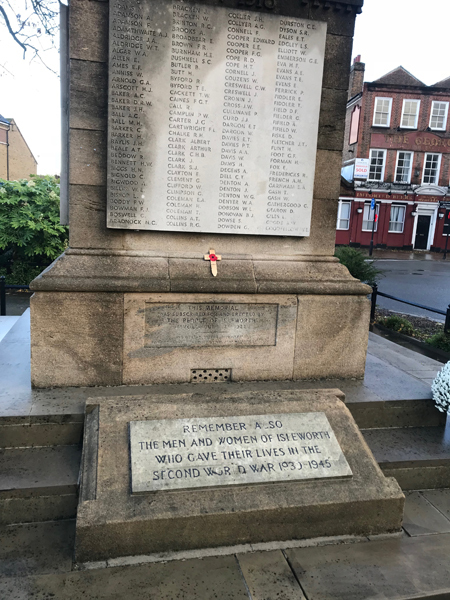 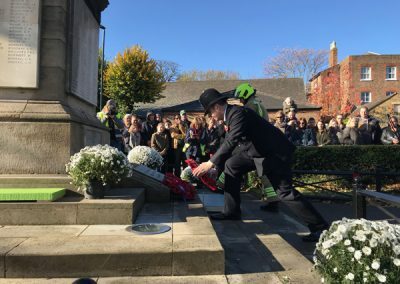 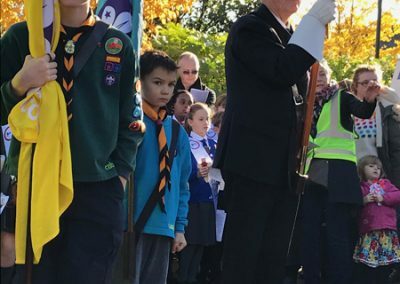 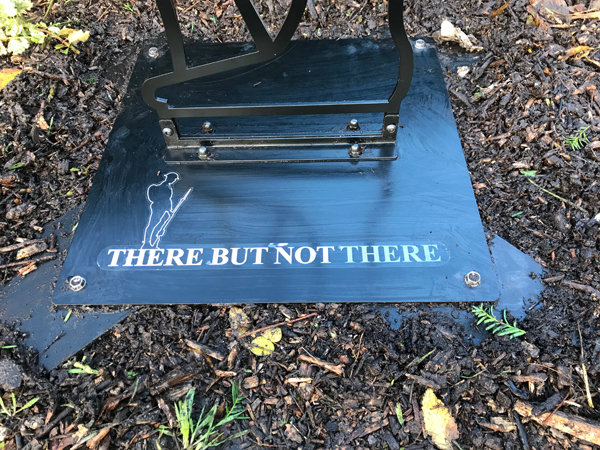 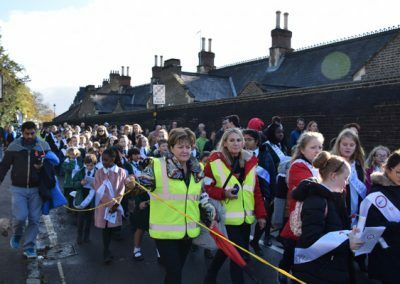 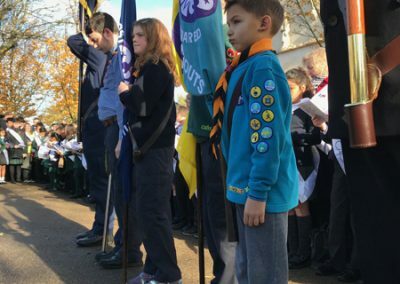 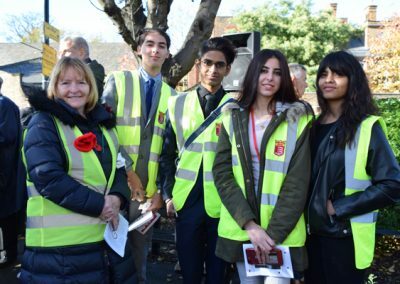 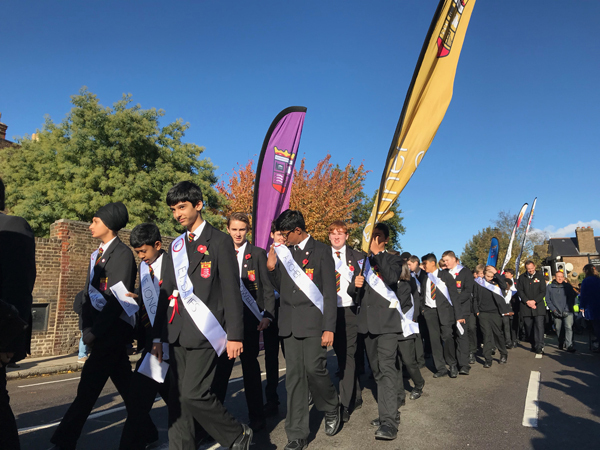 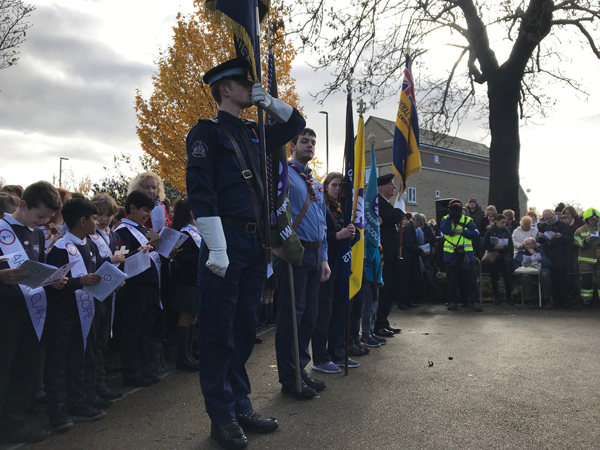 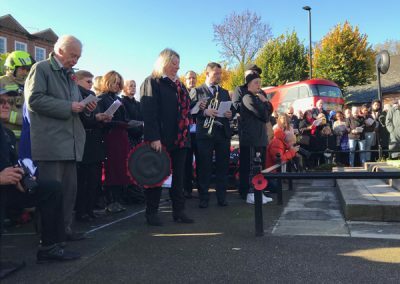 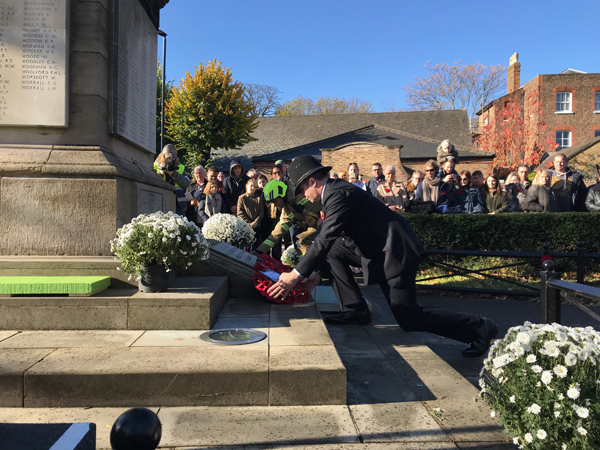 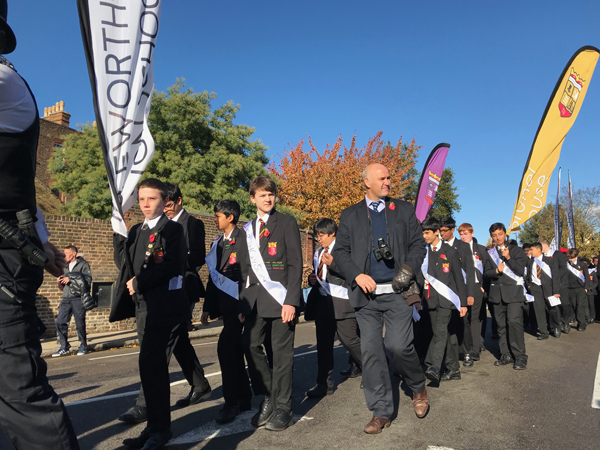 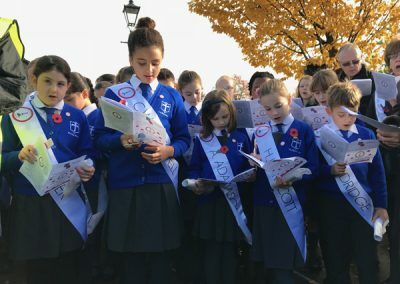 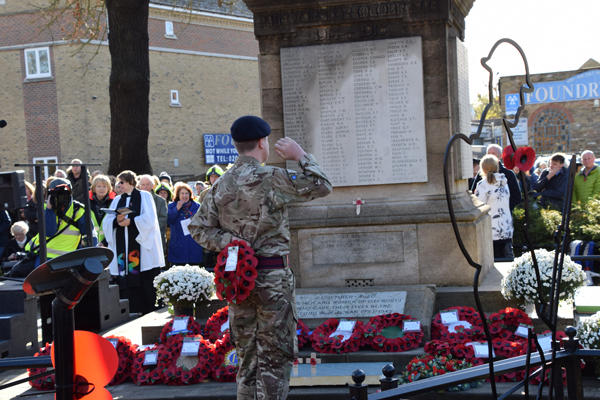 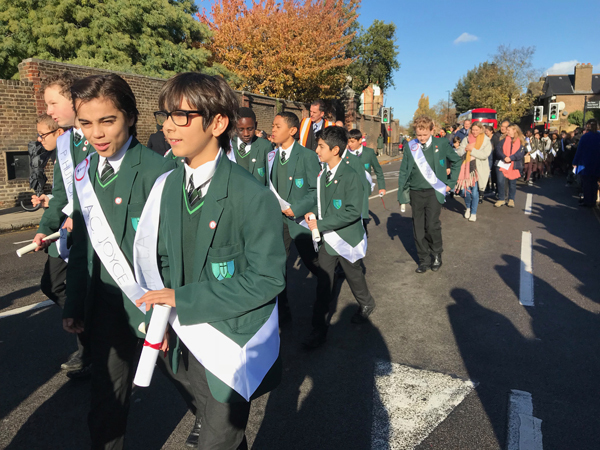 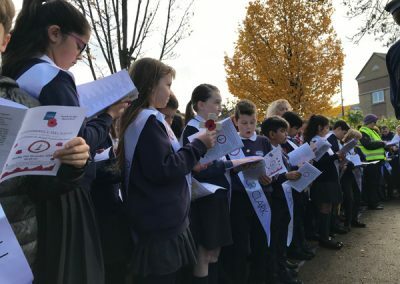 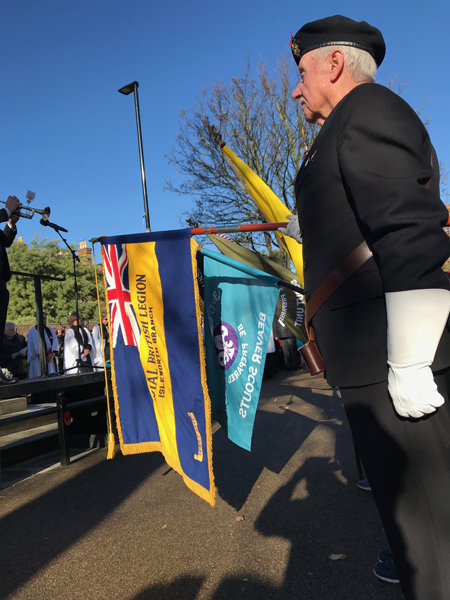 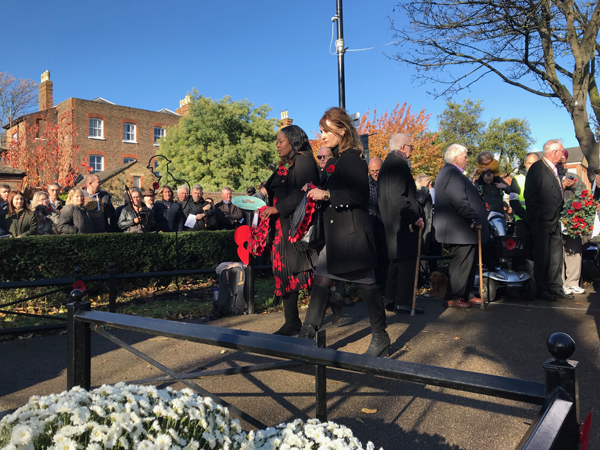 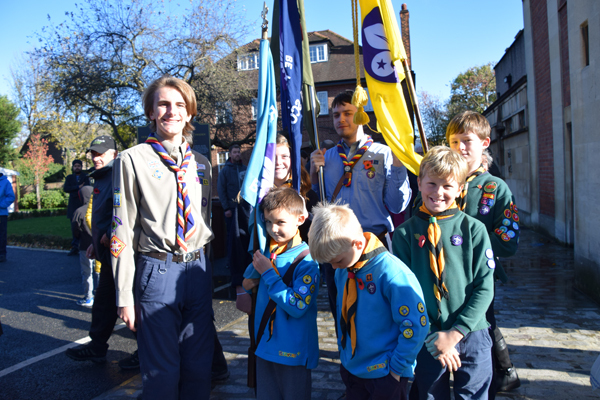 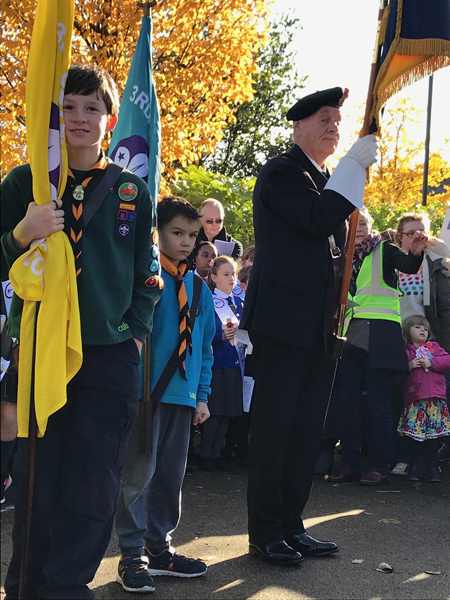 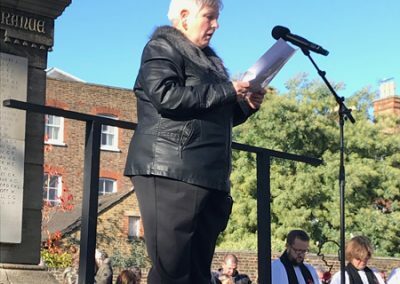 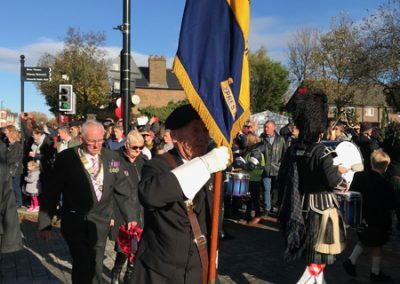 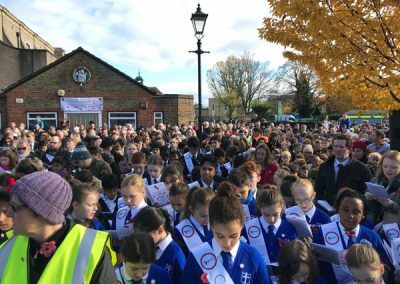 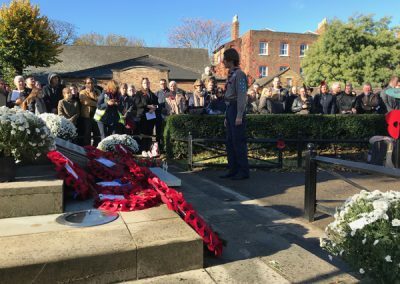 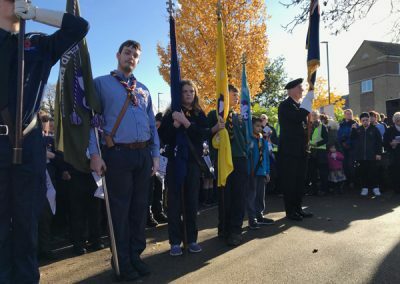 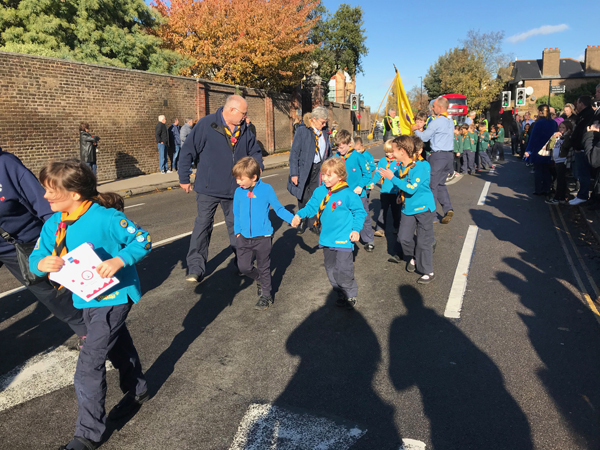 On the 11thNovember, 390 schoolchildren from 10 schools represented the 390 servicemen listed on the Isleworth Memorial in the parades and at the service. 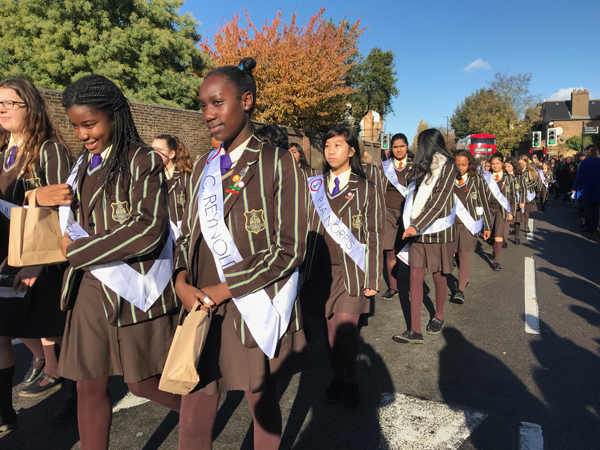 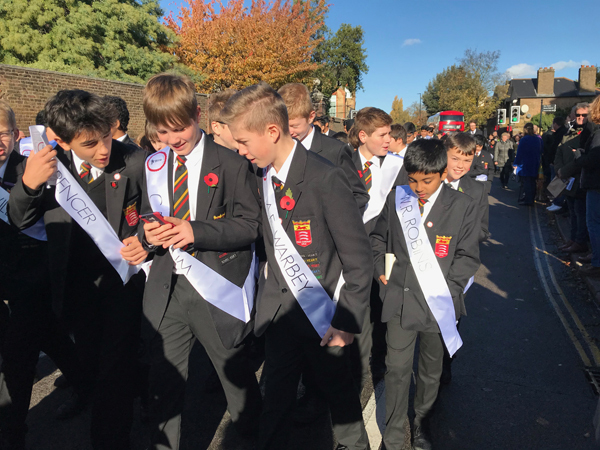 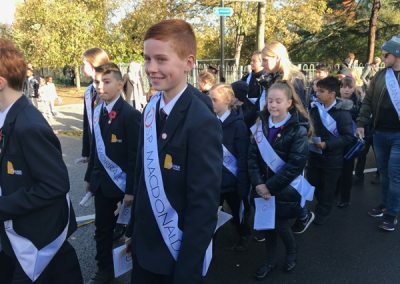 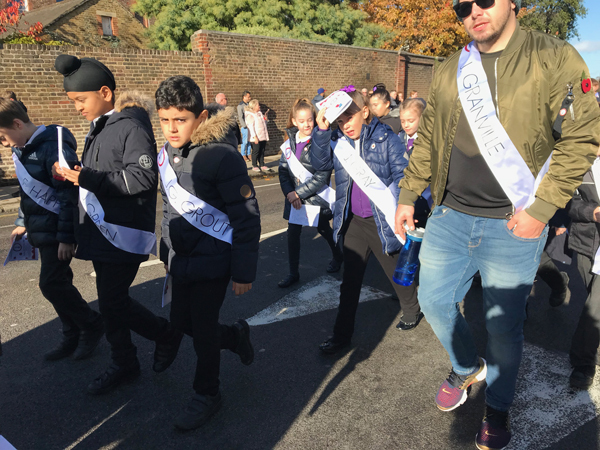 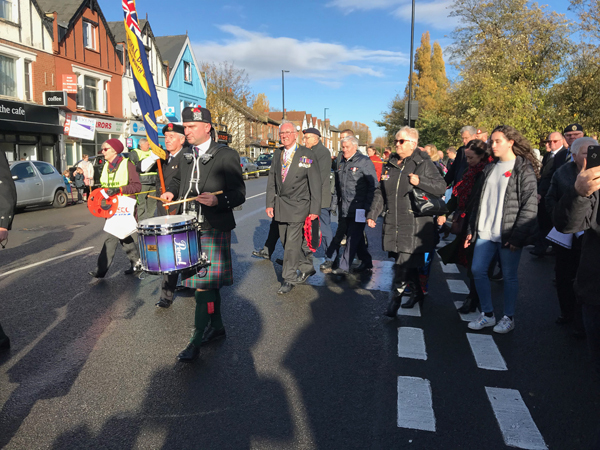 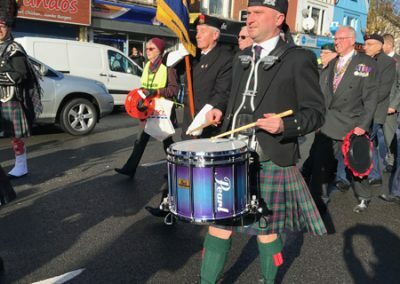 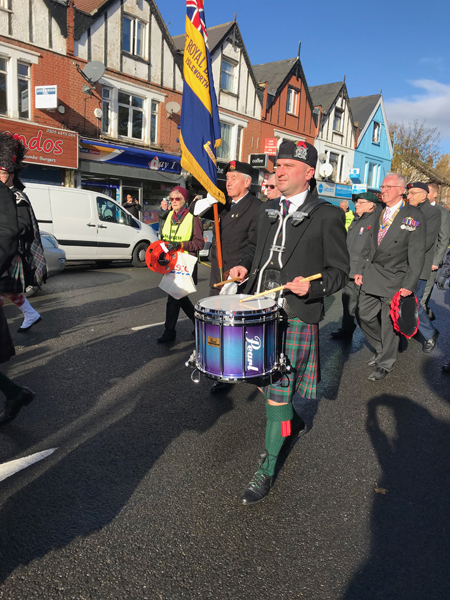 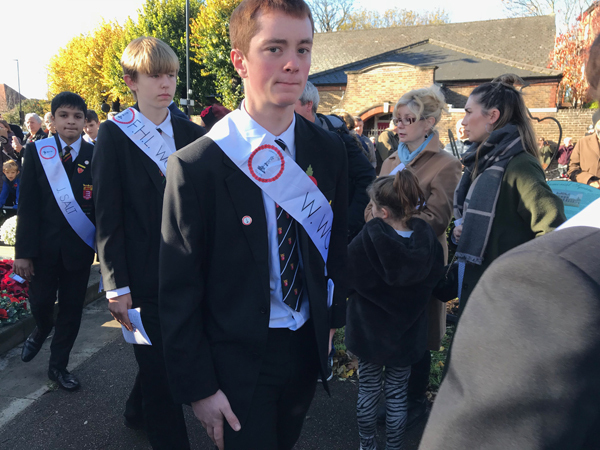 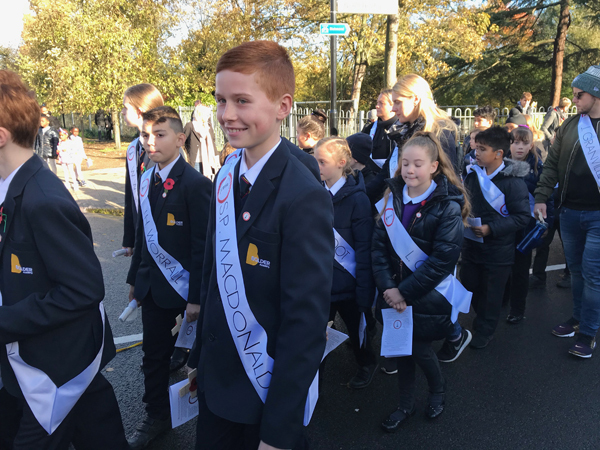 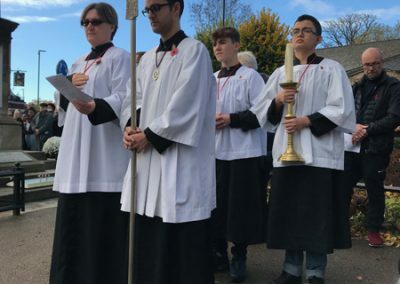 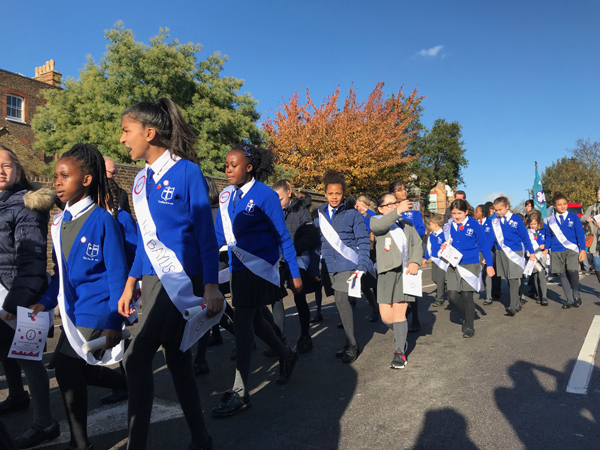 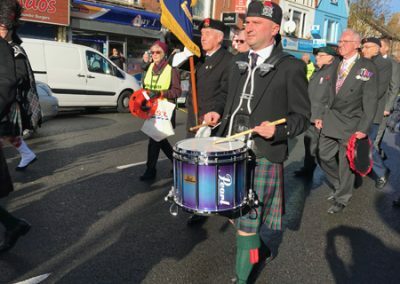 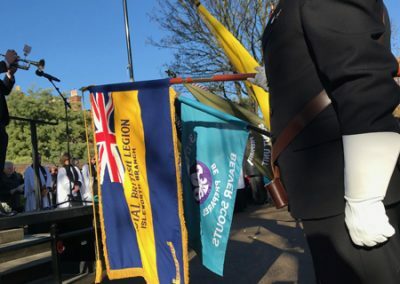 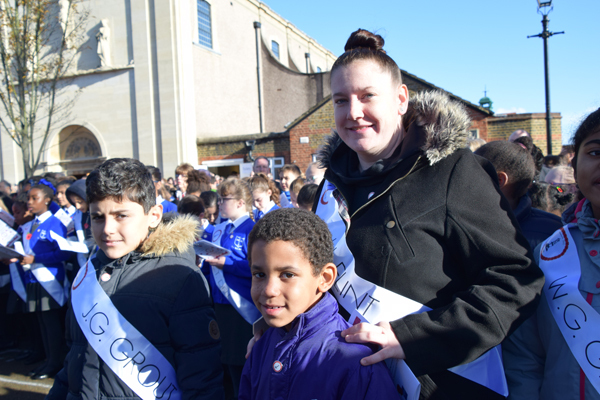 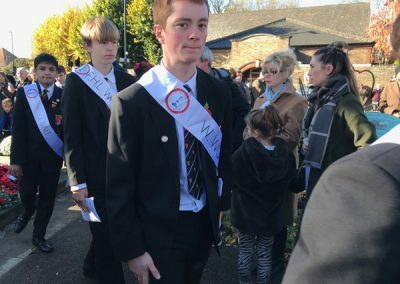 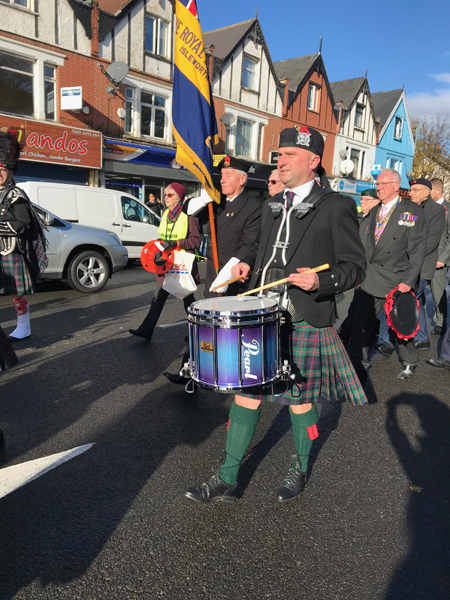 Each wore an individual sash with the name of one of the servicemen, carried a scroll with a page about his life, and wore a commemorative badge. During the service, each laid a named cross on the Memorial. 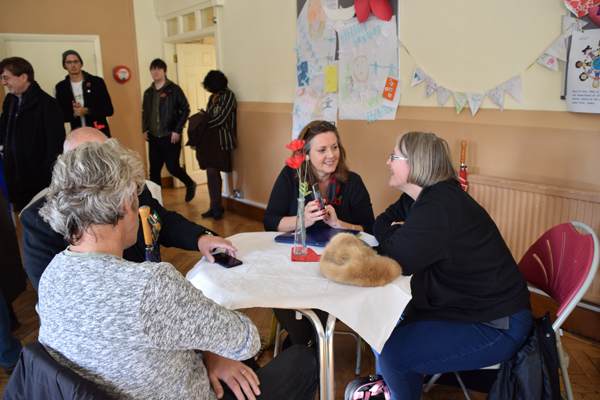 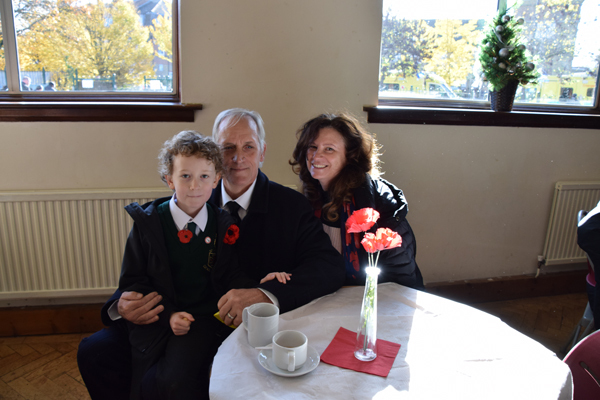 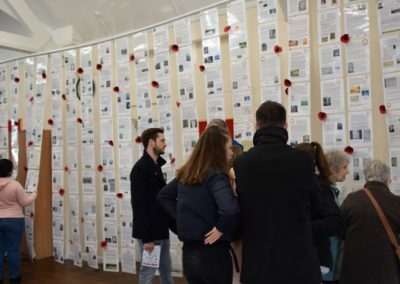 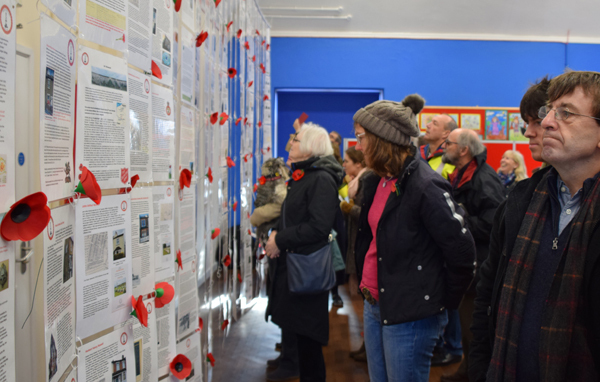 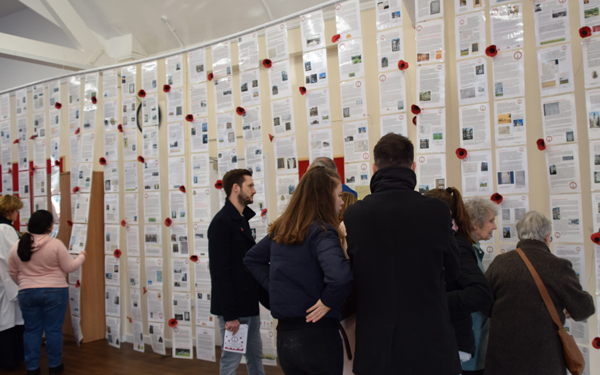 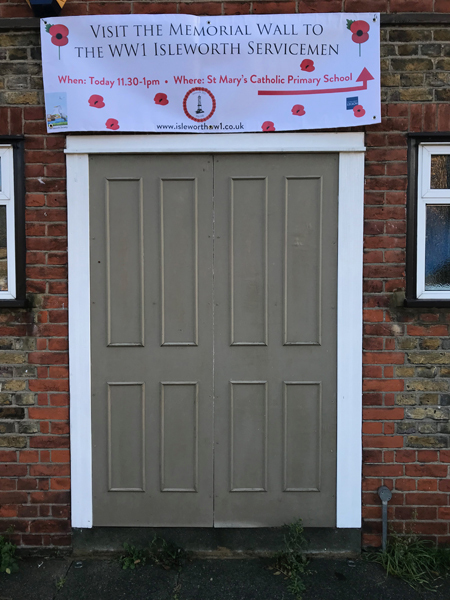 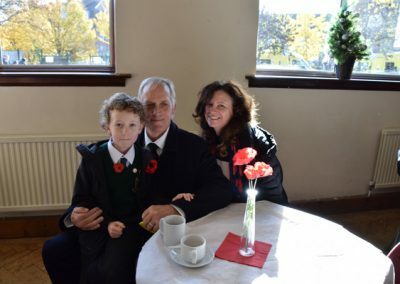 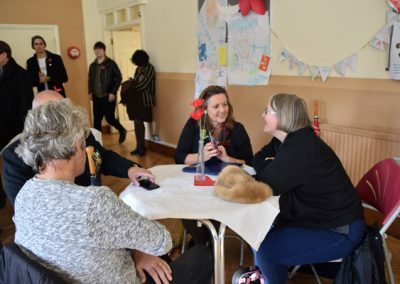 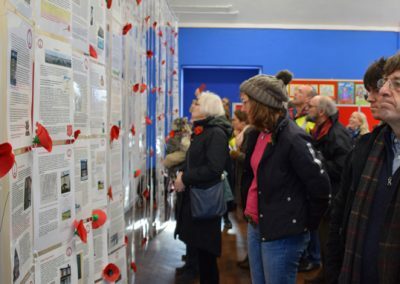 After the service, everyone was invited to view the Memorial Wall to the Isleworth 390, share refreshments and sign a book of remembrance in St Mary’s School. 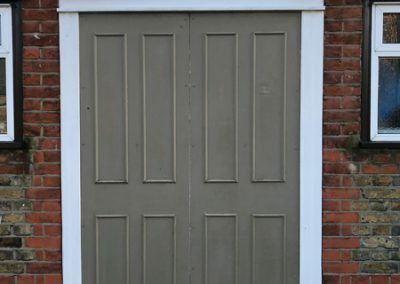 You can view the gallery of photographs taken on the day below (click on each image to make larger). 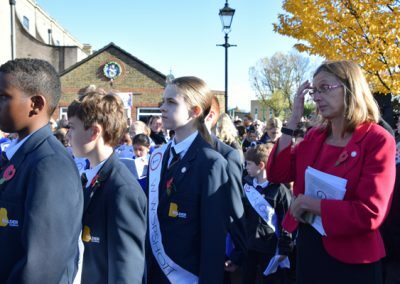 A film about the day is being produced and will be available soon. 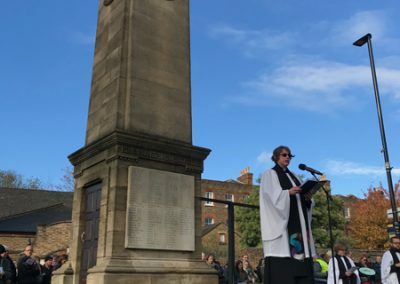 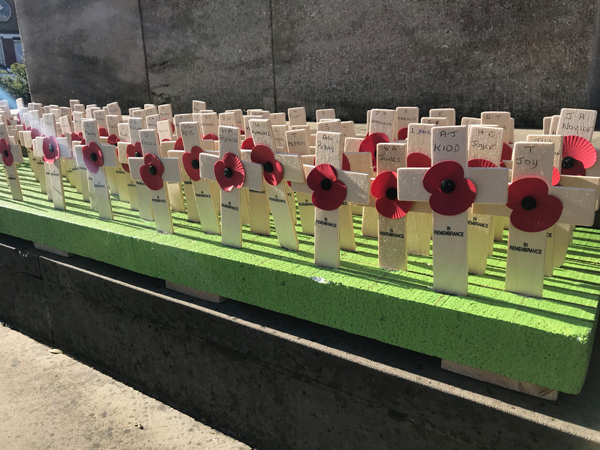 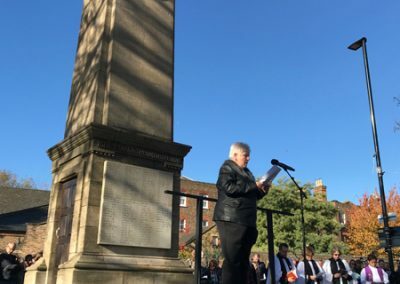 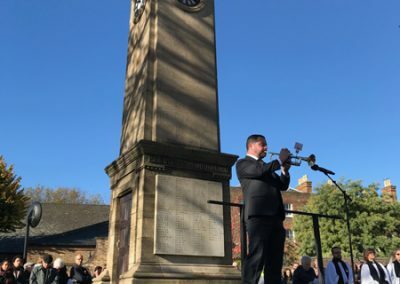 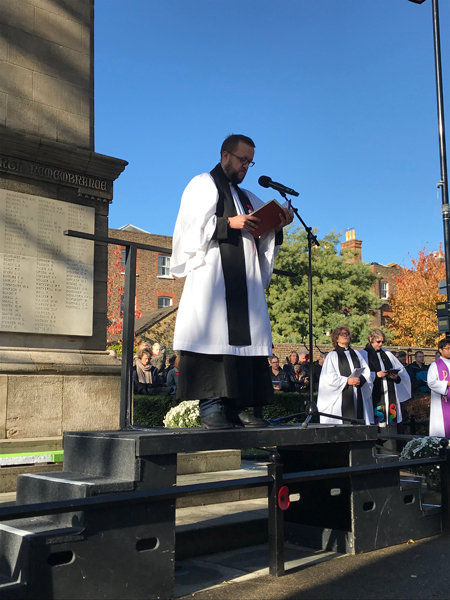 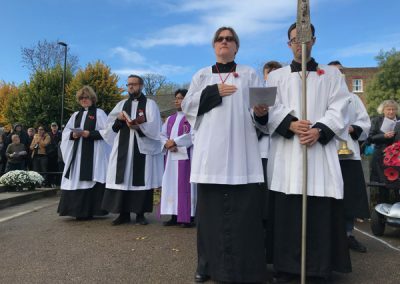 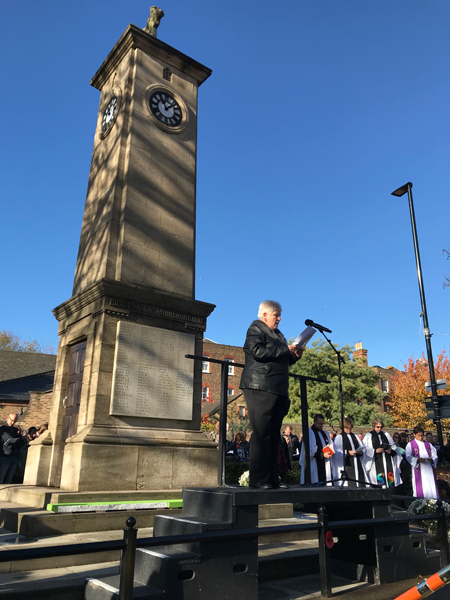 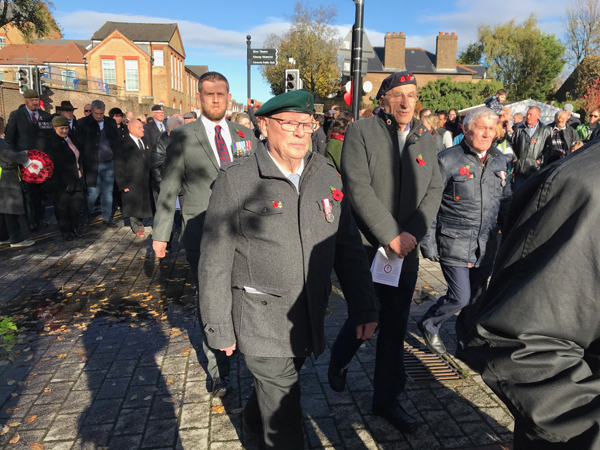 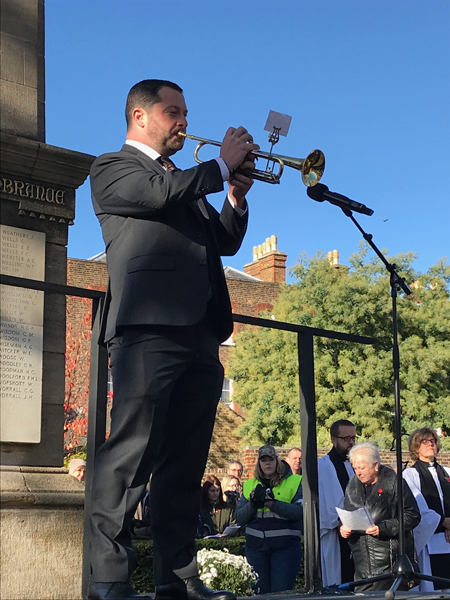 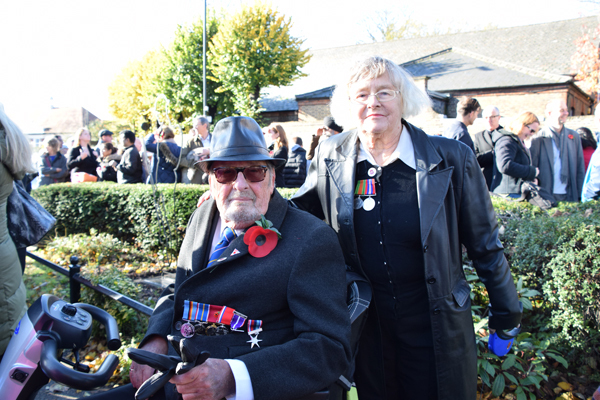 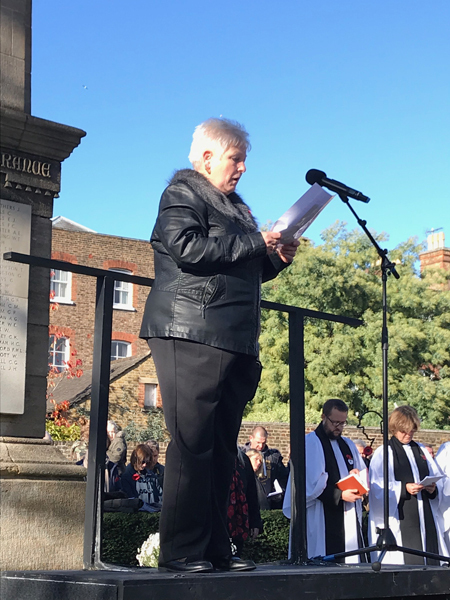 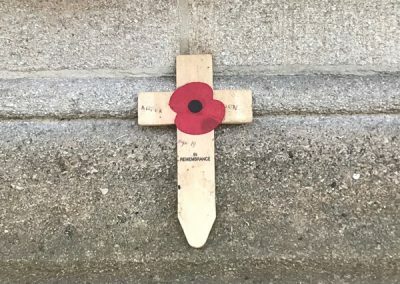 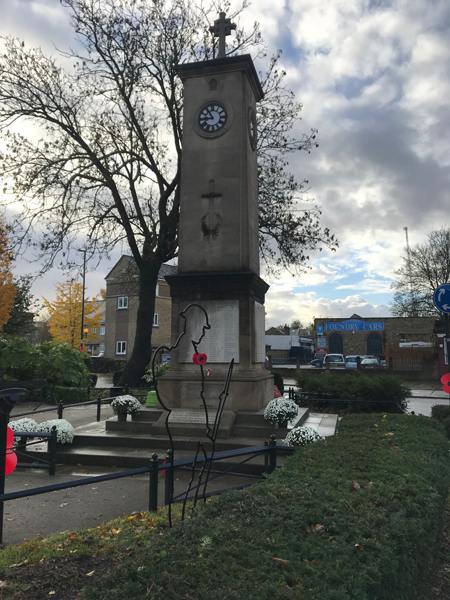 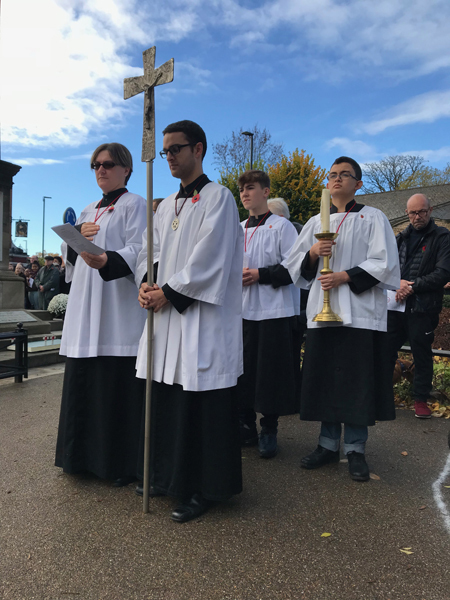 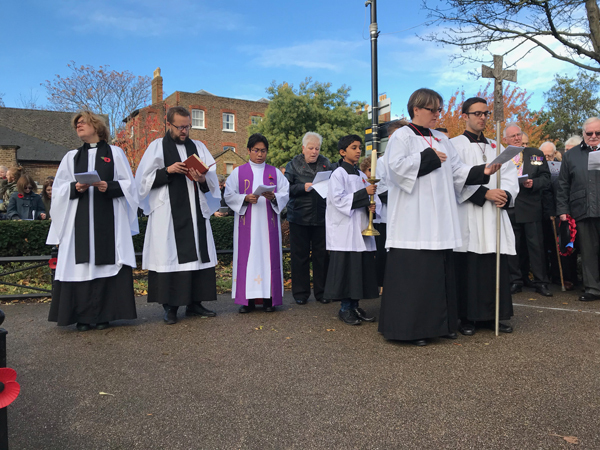 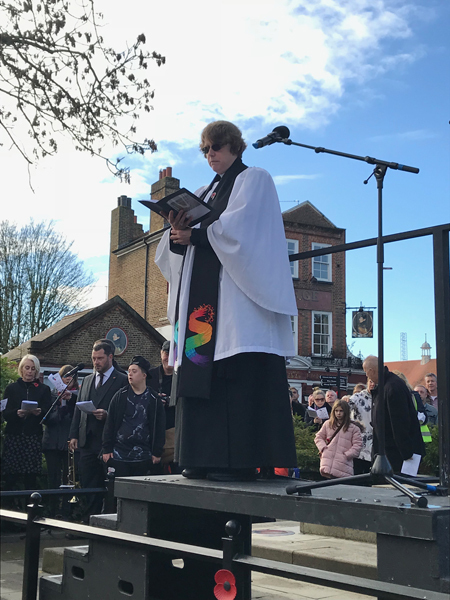 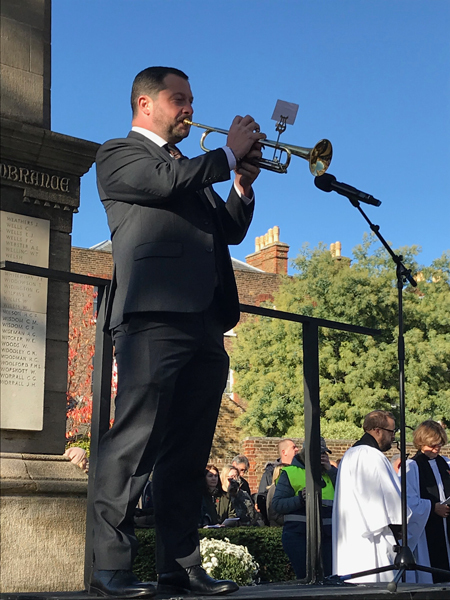 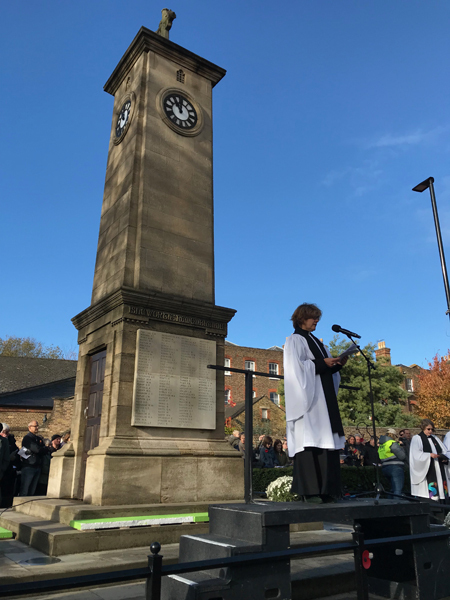 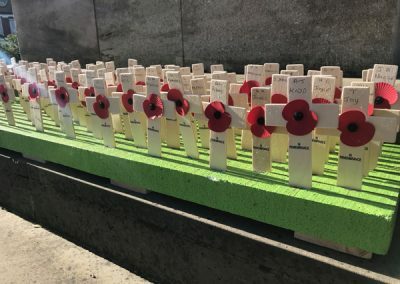 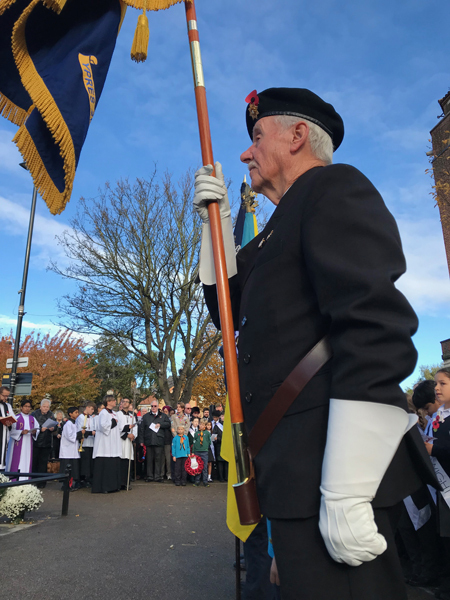 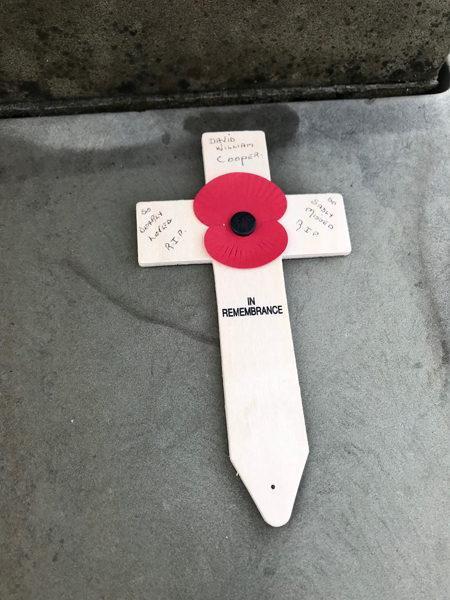 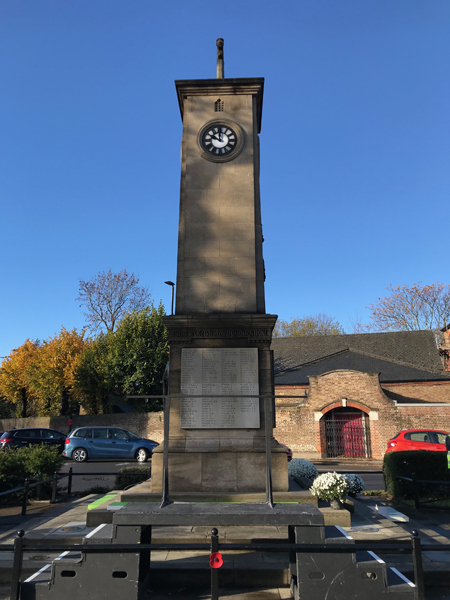 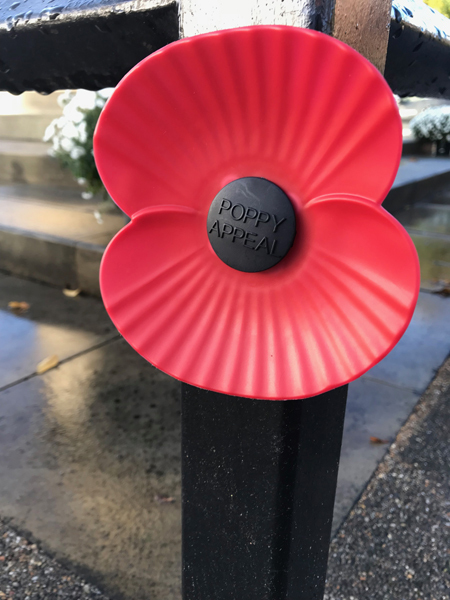 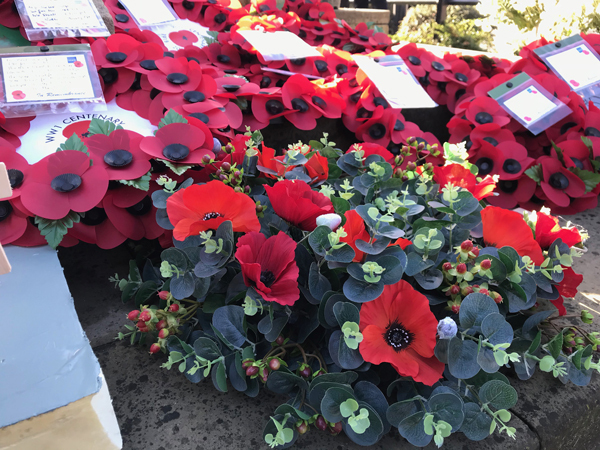 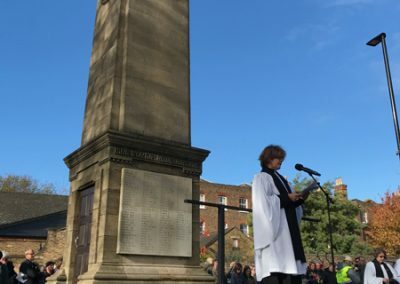 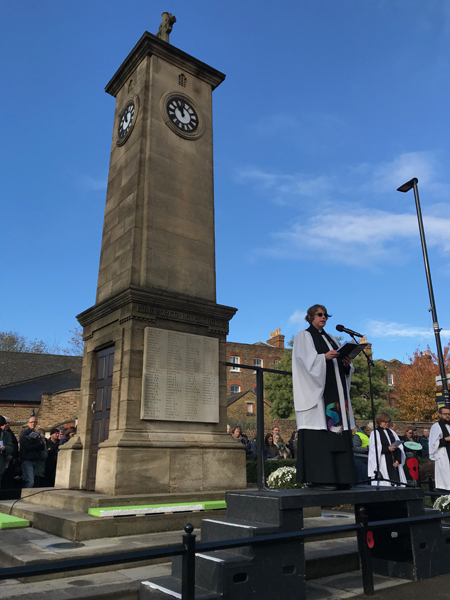 Read the newsletter after the 2018 Armistice Centenary.